This was my surprise birthday dinner! 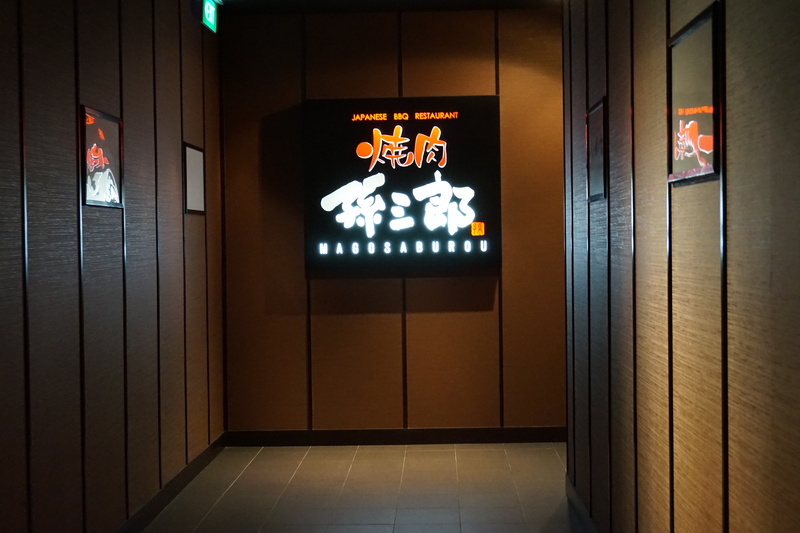 Since I had completely ruled out Japanese restaurants while researching for restaurants to try in Hong Kong (good Japanese food does not come cheap in Hong Kong), I was completely unprepared but pleasantly surprised when I was shown in to this restaurant. Despite the glamour of its two Michelin star status, the setting was simple, save for a great view, it being situated 101 floors up. 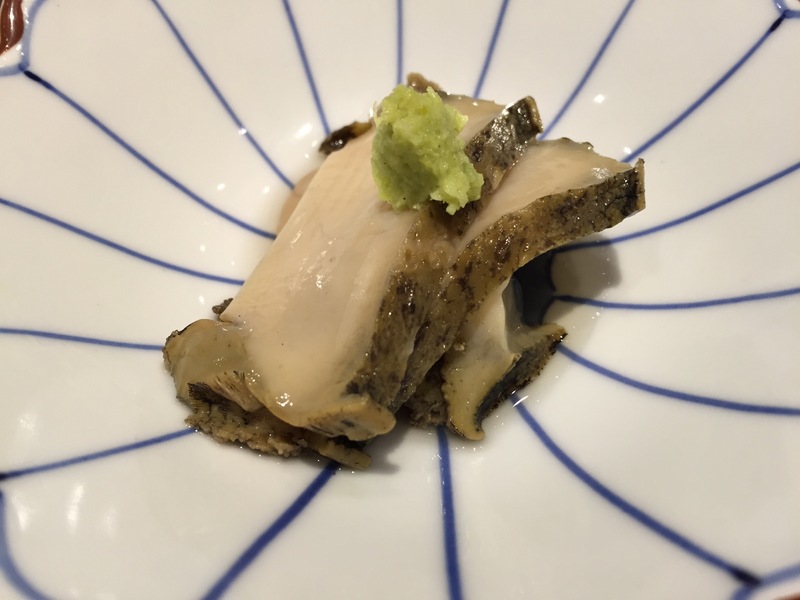 It claims to offer traditional but unique kaiseki cuisine. Unique it was indeed! And yet it retained all the clean, seasonal and delicate aspects of traditional kaiseki that the Japanese pull off so well. 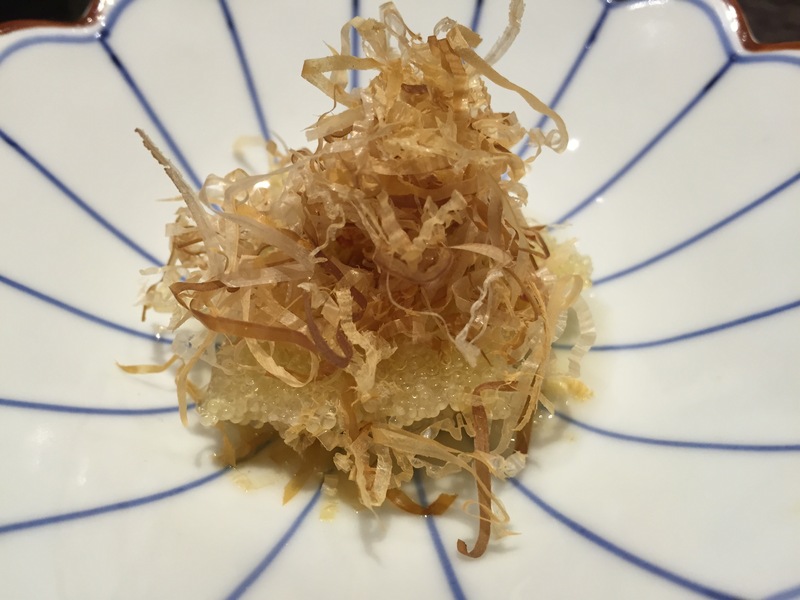 This is the first overseas branch of the Tokyo restaurant, which boasts a full spectrum of Michelin stars. We weren’t given a choice on the food. Everyone had the tasting menu. We chose to have sake to go with our dinner and they presented us with a choice of sake cups which I thought rather lovely. Weakness for tableware. Mmmmm…. Second course: Foie Gras flavoured with porto and wasanbon sugar served with fresh figs and sesame cream sauce. I loved this as well, but it could be because I’m partial to foie gras. Popped the entire thing in my mouth. It tasted like peanut butter. Delicious but the foie gras to fig ratio could be better. The fig came dangerously close to overpowering the foie gras. Overall a nice mouthful (or two, the second is not pictured here). Now this is what I’d expect from a top notch kaiseki restaurant. This is quintessentially kaiseki to me. The soup is clear, clean and yet flavourful. Ichiban dashi just refers to the basic stock that is used in most Japanese cuisine, made from katsuobashi (dried bonito flakes) and kombu (kelp). I had to look up the Alfonsino’s more familiar Japanese name, Kinme. It’s a type of sea bream, thus its taste is of a white-fleshed fish with enough fat to keep it tender but not as fatty as the cod. Well balanced fish cooked just right with a lovely charcoal aroma from the very slightly charred skin. Fourth Course: Sashimi, standard offerings of hirame (I’m guessing here), akagai, hotate, ebi and saba sushi. 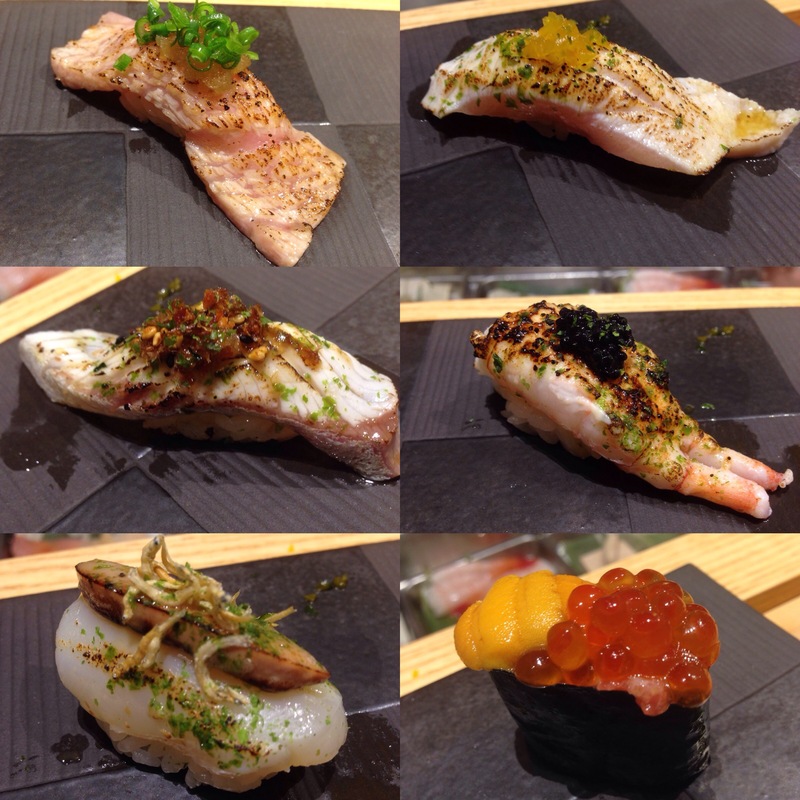 They’re all good and fresh, although special mention has to be made for the akagai and the saba sushi. I’ve not had the akagai cooked lightly like this before and I think it vastly improves its flavour and texture, making it easier to eat. 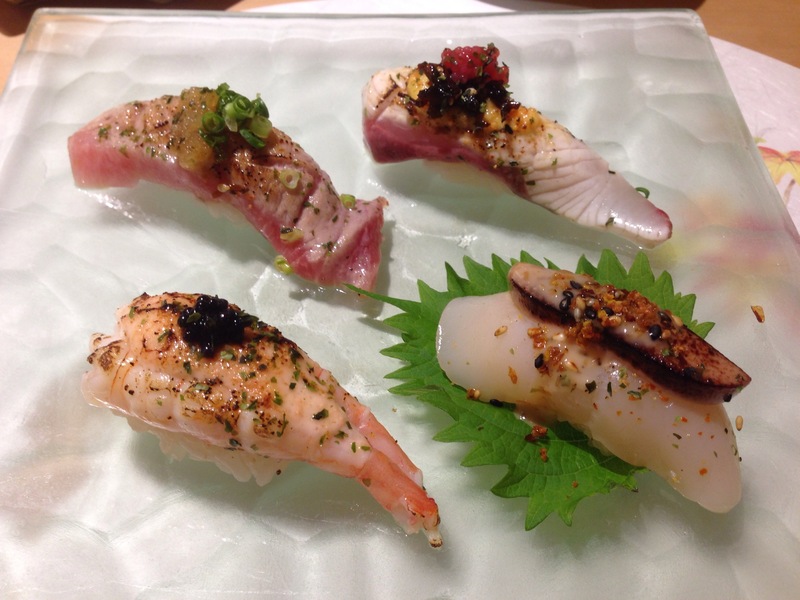 The saba sushi is also done well, meticulously balancing the vinegar seasoning with the usually strong tasting fish. Absolutely nothing fishy about it, perfectly fatty and good use of seasoning. All I can say is that the chef knows how to cook his fish well. 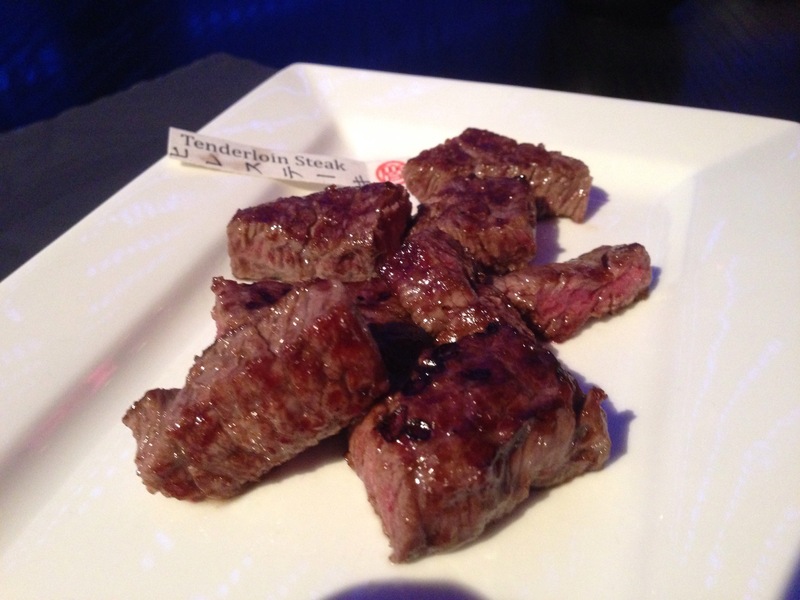 Juicy and thinly glazed, it has none of the cloyingly sweet miso glaze I was dreading when I first saw the menu. I also liked that crisp that came along with it, it’s like a healthy ikan bilis cracker. 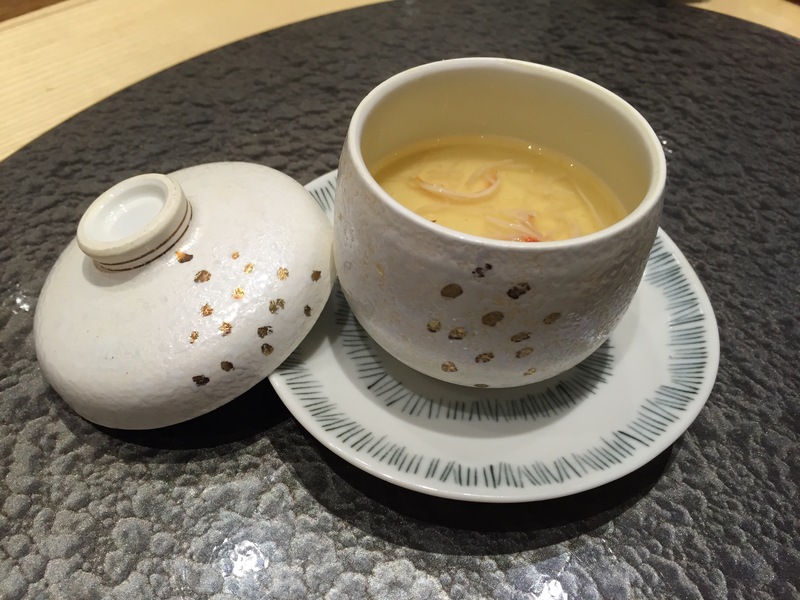 This dish is your usual chawanmushi, except that its cold. The crab meat didn’t do much for me, and the orange stuff on top of the egg custard could be smoother. However I did like how it tasted of kaffir lime zest and juice, although it could have just been from the grated fresh apple vinegar. Interesting combination. 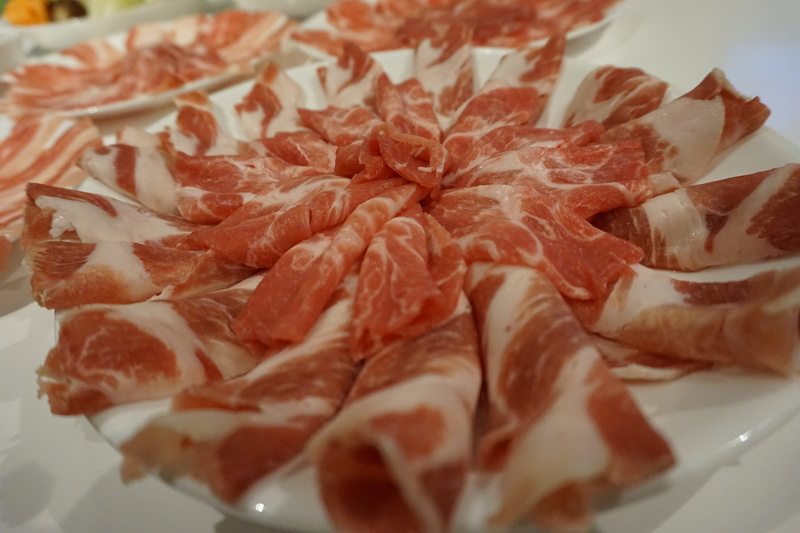 Seventh Course: Wagyu beef shabu shabu, lotus root cake and onion ponzu sauce. I thought this was good! My dining partner said it could be more tender. 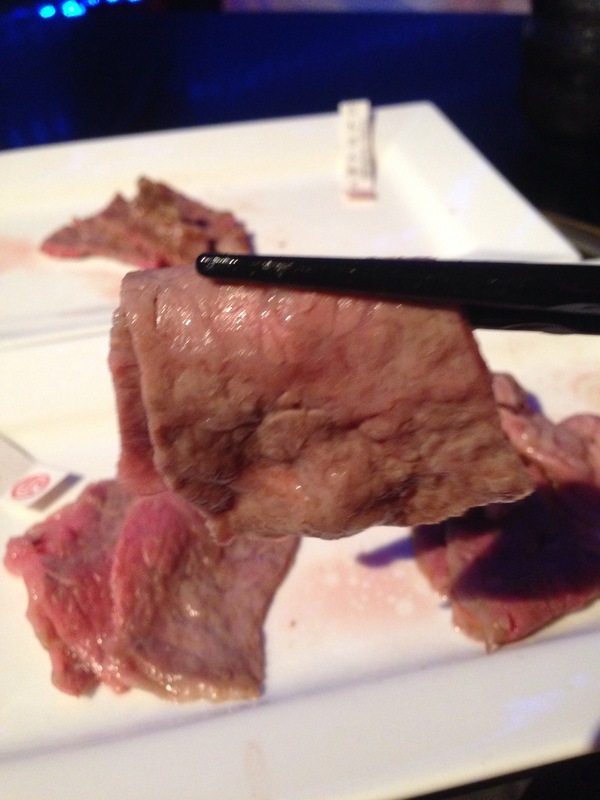 If it were done yakiniku style, with the same sauce and garnish, I think it would be perfect. Needed a little boost to further melt the fat, but delicious otherwise. By this time I was too full to do justice to the lotus root cake, but I didn’t really fancy it much anyway after taking a small taste of it. 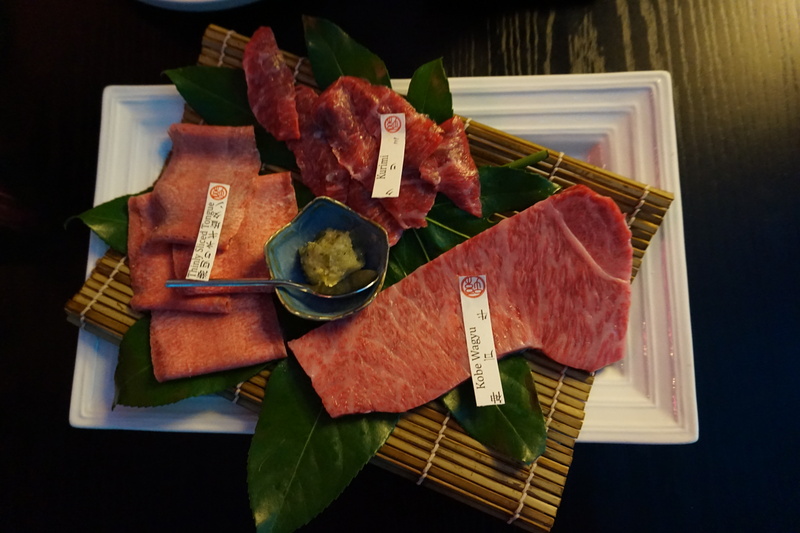 This is standard fare in kaiseki. The rice course comes out right at the end before dessert. While I’m not wowed by this course, I do love my ikura on warm fluffy rice rather than on cold, vinegared rice. Very satisfying and comforting along with the most delicious soup! 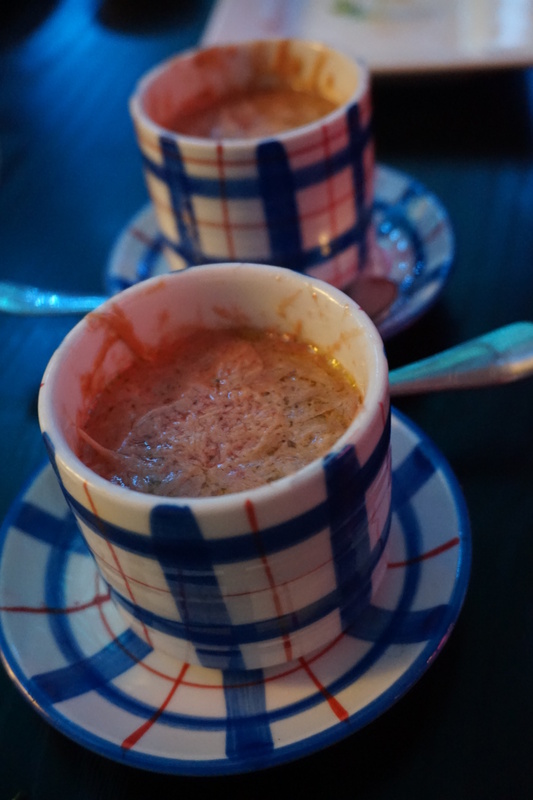 The depth of flavour in this unassuming soup is unrivalled so far! It comes shaped as a beautiful, frozen pear which you tap and break into the insides before the waitress ladles the warm pear jam (which is more like poached pears) on top. I love pear and I loved how the differing temperatures of the two components came together in a pleasing mixture to show off the pear ingredient. Very clever. My dining partner is harder to please though. Tenth Course: Chestnut ice cream with roasted chestnut biscuits. Conclusion, I really liked it! Fresh ingredients cooked well and on the mark, sometimes with a twist. The chef skirted with his cooking techniques, pushed boundaries and yet managed to execute the dishes with such finesse. The sake helped it all to come together I must say. And there’s nothing like an authentic Japanese meal to end a wonderful day. I can’t speak for the value for money aspect of the dinner as I still do not know how much it cost. Ignorance is bliss. 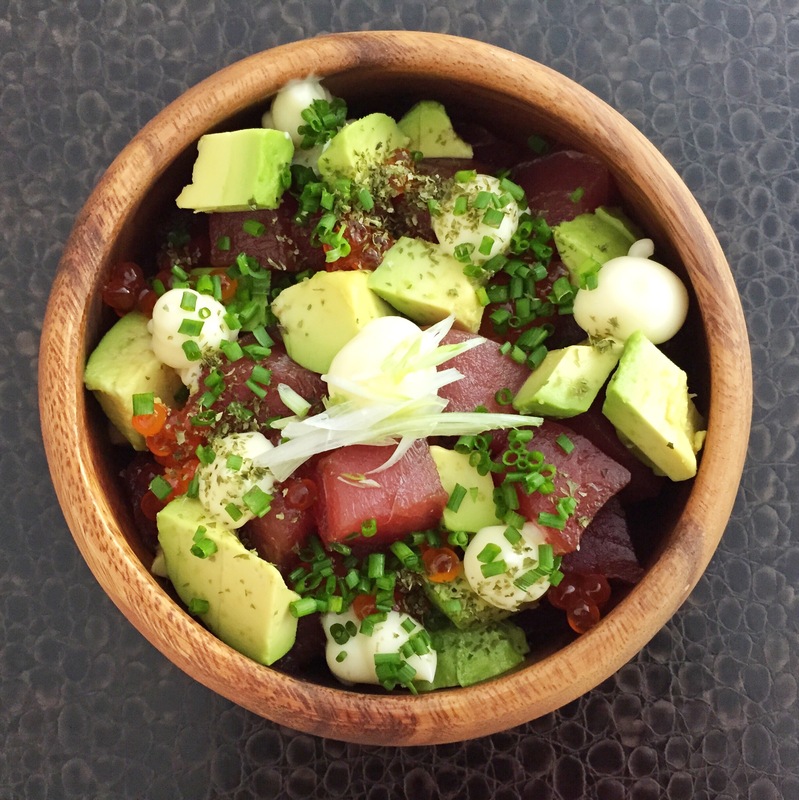 I was treated to Oribe Sushi about a week ago, and a treat it was! 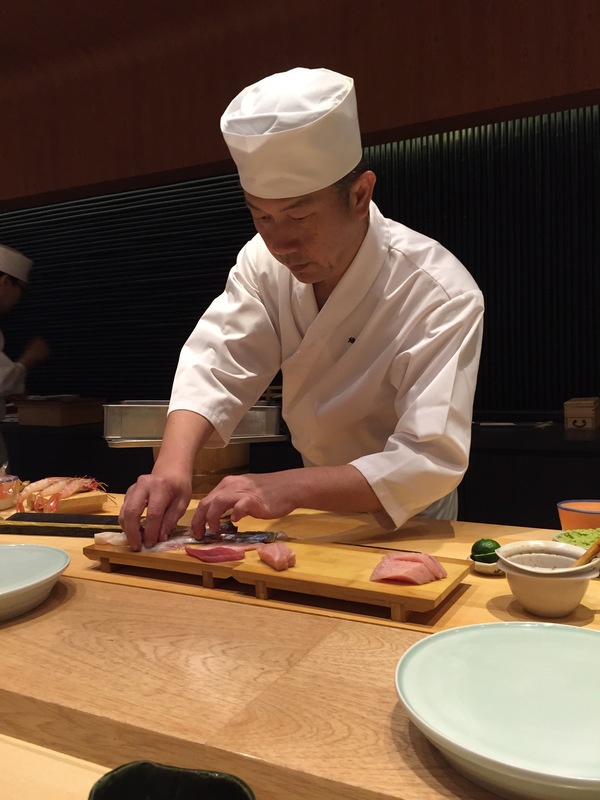 Chef Hideaki Oritsuki was previously head chef at Sushi Hinata. 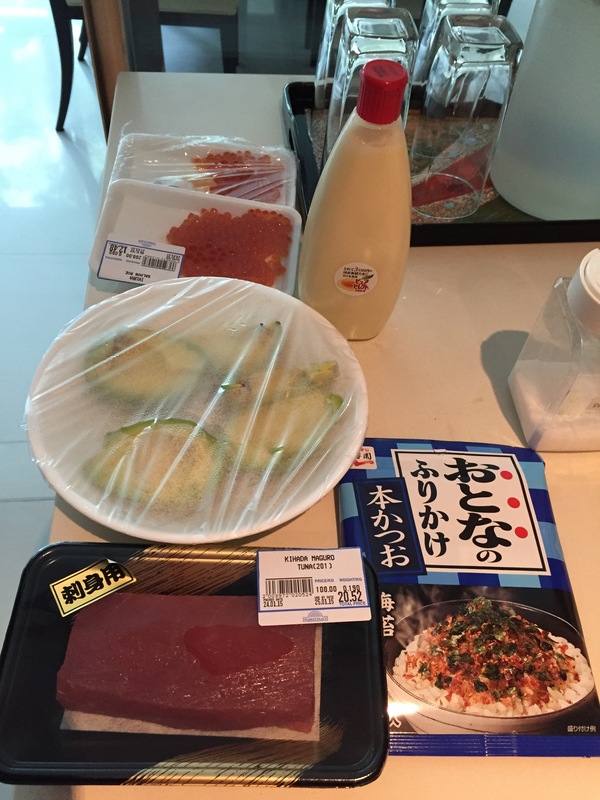 I gave Sushi Hinata a 6.5 back then… while they do have fresh raw ingredients, the quality of the rice as well as a couple of other factors dragged the score down. I was slightly perturbed that the fish was pre-sliced and placed in a box for convenience and quick service. That’s not how it’s done in Japan! I digress, so I gave Sushi Hinata a 6.5 then. Oribe Sushi would be a 7.5. Chef Ori has addressed the rice issue and uses Japanese rice in his sushi. It makes a world of difference! 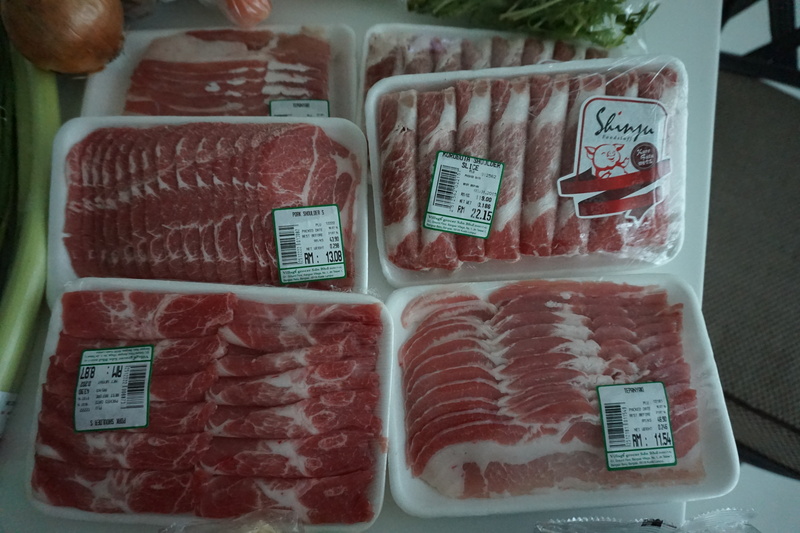 His ingredients are fresh and flown in from Japan as well and it helps that he was more than happy to talk about Japan and where he sources his ingredients from. Very friendly chap he is! Ambience I excluded from the score, so I must add that while the sushi counter is sufficiently pleasing, the rest of the restaurant didn’t look like that of a high end restaurant. Abalone that has been steamed for 7-8 hours. Tender to the bite and loses none of its natural flavour. A dish well done. 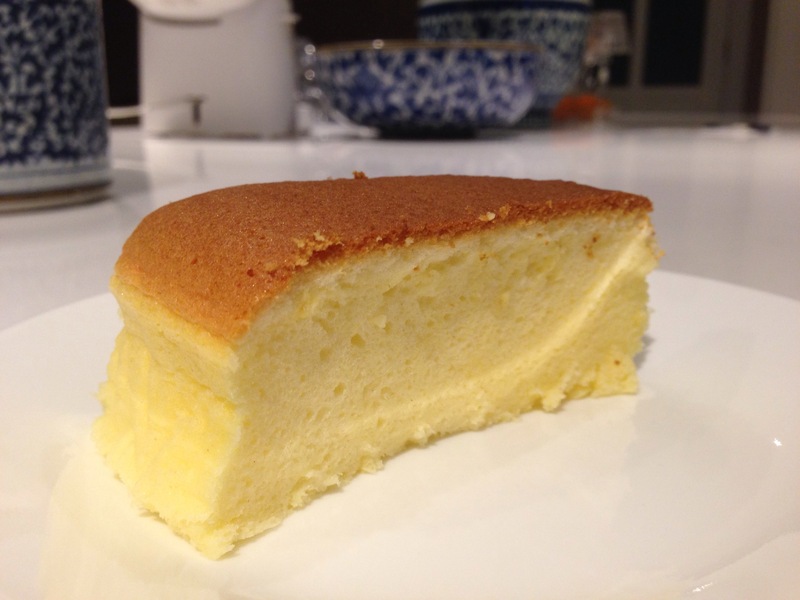 Cawanmushi – standard as far as steamed egg custards go unfortunately. Nothing special here. 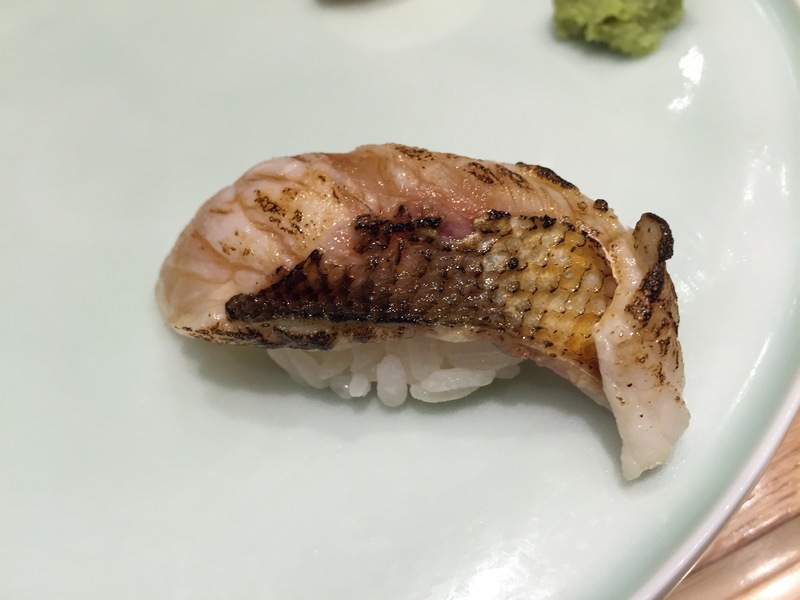 Grilled Nodoguro (rockfish) was well cooked, had the perfect amount of sear to it and meltingly soft flesh. Would have been stellar if the skin had been a little more crisp! 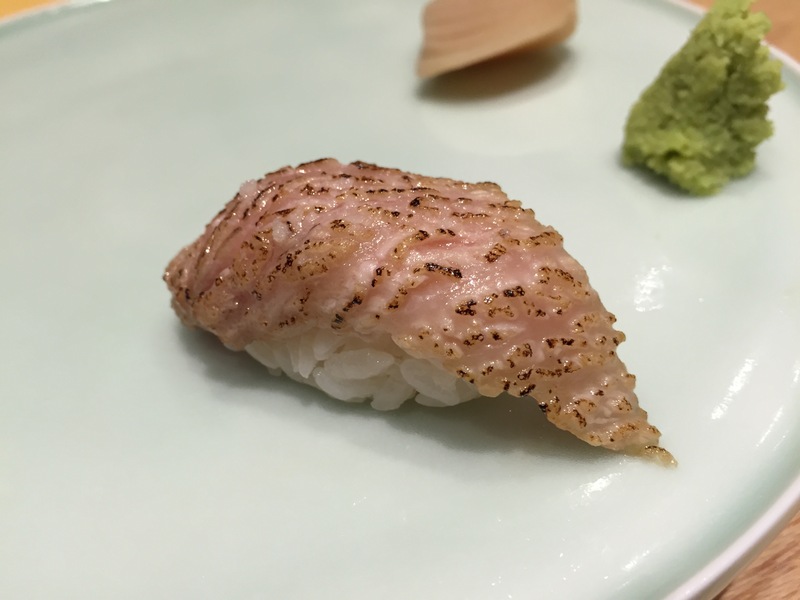 Seiki Aji (Horse Mackerel). 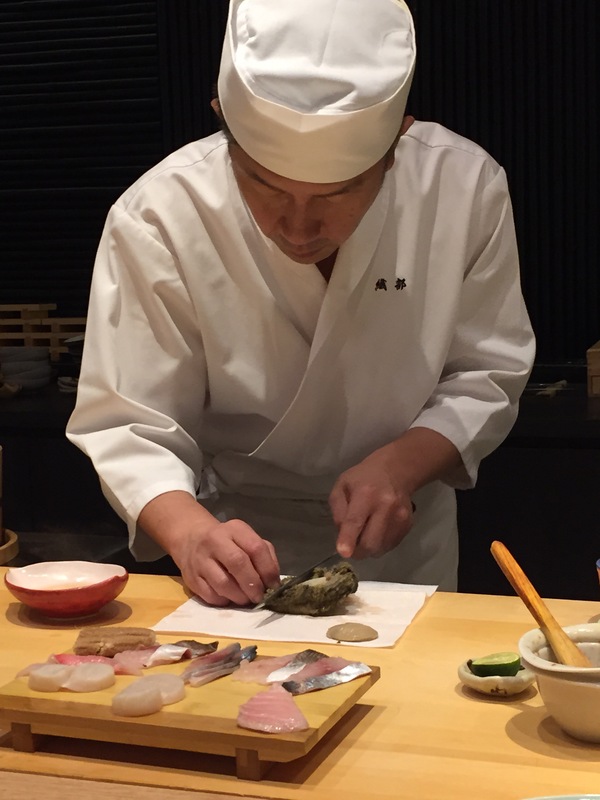 The chef emphasized that this is one of the best kinds of horse mackerel in Japan as it was caught in Kyushu where the currents are strong. 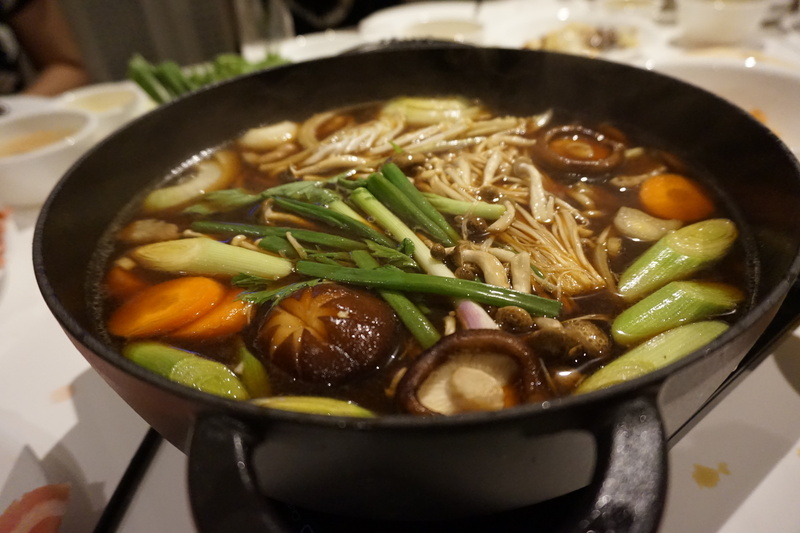 It is always served with ginger and spring onion. Now this was outstanding! I usually don’t pay the horse mackerel much attention but this had beautifully fatty and rounded flavours. Usually this fish tends to taste and smell a little strong but there was none of that here and I think this would be a prime example of how it should taste like! Full marks here. 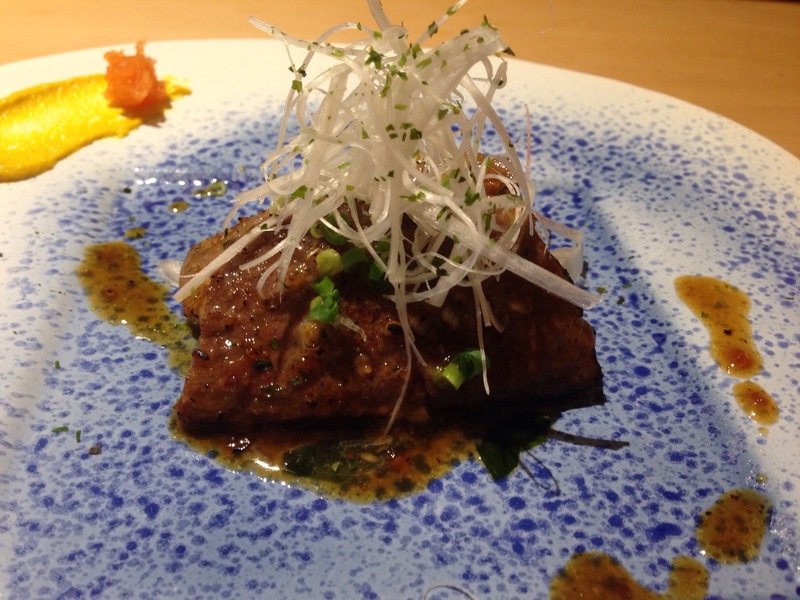 Engawa (Flounder’s Fin) – I always give brownie points whenever I get Engawa in any respectable sushi joint. It’s uncommon, or at least in Malaysia and Singapore it is. 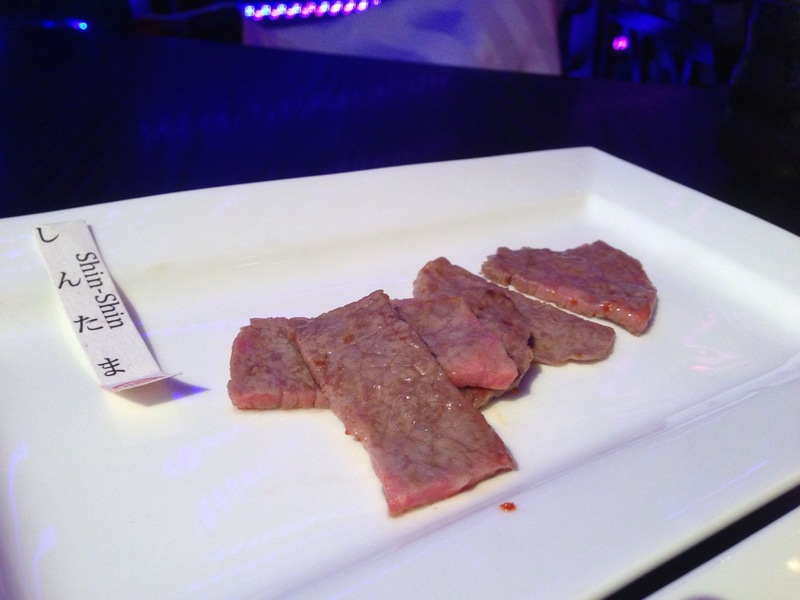 It’s got a chewy texture and is mild and sweet in taste. I wish I could have had more! There’s a “BUT” in here though… it was better in Japan ;( This I very blithely requested XD. Aburi Otoro! (Blow-torched tuna belly). OH SO GOOD!!!! 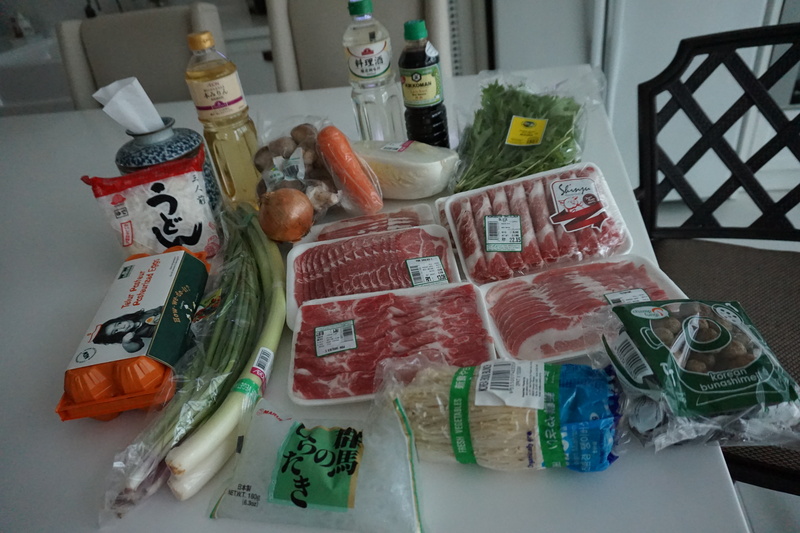 With a couple of drops of sudachi juice and salt. 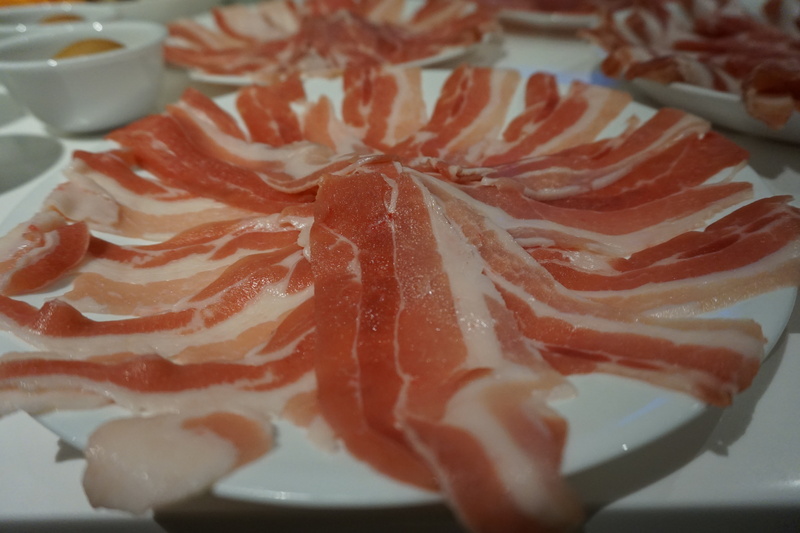 Melts in the mouth with the fatty bits all softened to gorgeous tenderness and fabulous with that slight char. 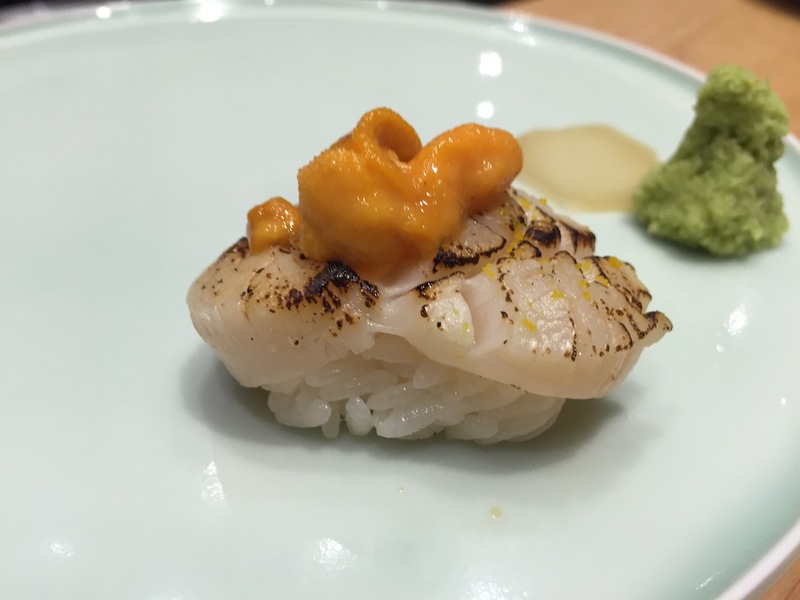 Wish it were a thicker slice though >.< Aburi Hotate (Blow-torched scallop) with yuzu zest. I asked very nicely for it to be topped with uni 😀 After all, that’s what all the food blogs out there are for right? To advise you to exercise some control over the chef’s discretion. He was really sweet and acquiesced to the request though. Another delicious morsel is thus born! 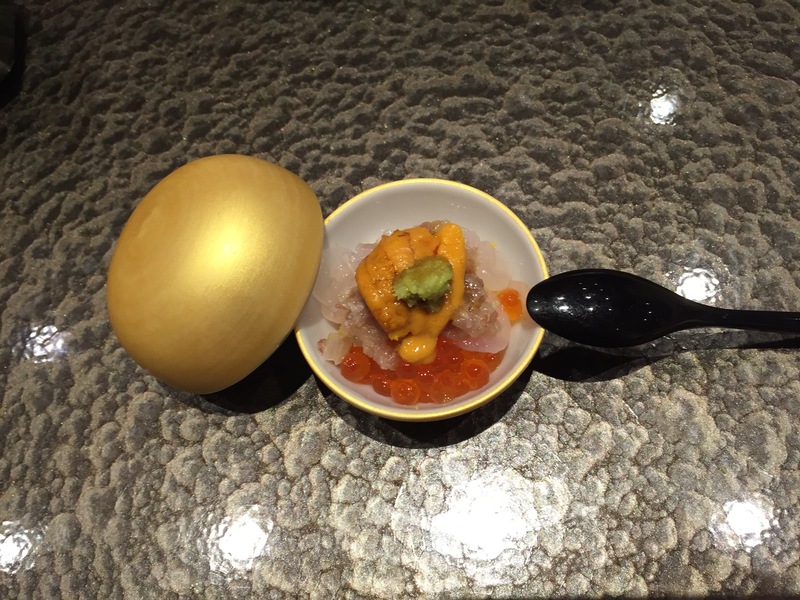 Hotate is creamy by itself already, so topped with the uni it makes for gold! Kamazu (Baby baraccuda); some fish requires a little charring to break down the fat and toughness before its full potential comes out. This one had its skin on. Raw skin never tastes good, so blow-torching it is a nice way to render the skin delicious and yet be able to enjoy the flesh without it being cooked to death. Oh this… stuff that dreams are made of! It’s a little different in that he added some shiro ebi (white prawns) into the mix. 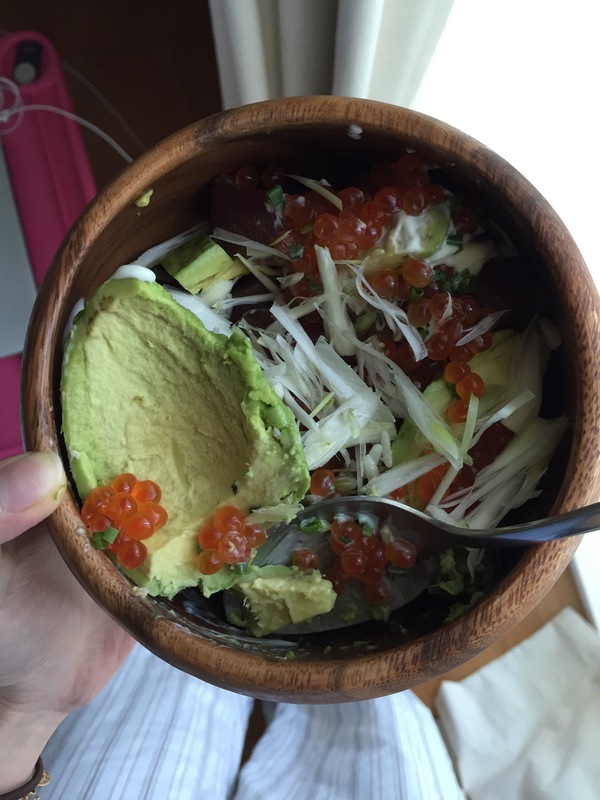 Usually it’s just Uni, Ikura and Negitoro (Tuna belly and scallions). Nevertheless! Always a perfect combination. Can never go wrong with this if you’ve got the fresh ingredients! I forgot to take pictures of two of the sushi that we had… the Saba (Mackerel) with seaweed and the Anago (Eel) that was had yuzu zest and half of it basted in a sweet sauce and the other half served with a touch of salt. Satisfying end to the meal. 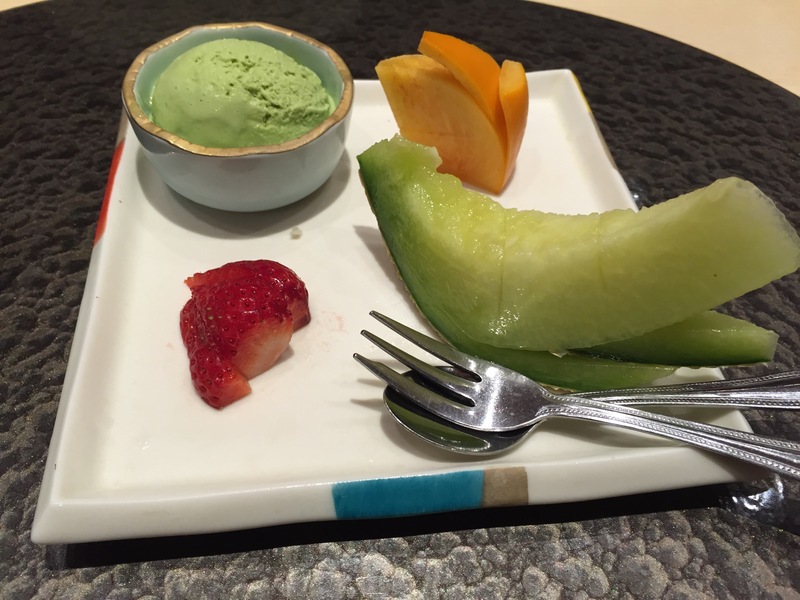 Green tea ice cream 🙂 Couldn’t resist another picture of the cholesterol bomb! So overall, a 7.5 out of 10. 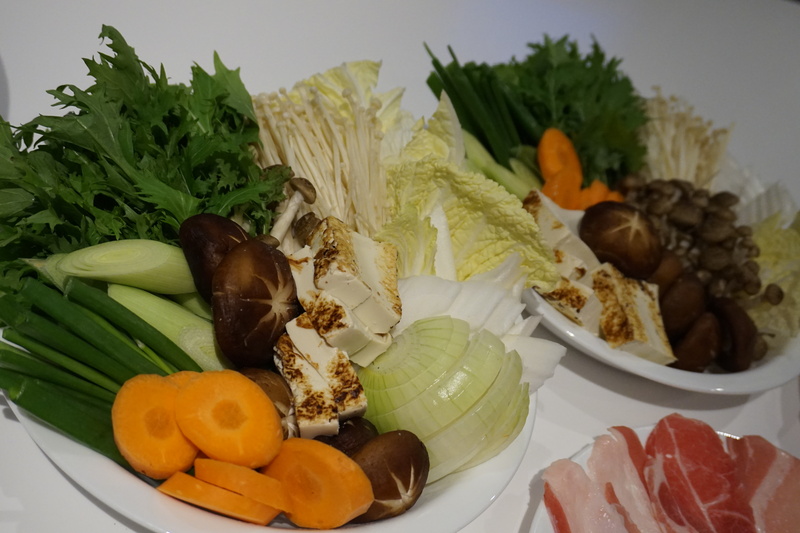 Fresh ingredients and affable chef were plus points, as well as the availability of Engawa and Shirako. Minus points would be that it’s always better in Japan, and they would be more generous with the portions and number of servings in Japan. Also, no surprises with the menu, perhaps there could have been a little more in that area. Ambience would have been a real killer if we weren’t seated at the counter! I never eat beef. 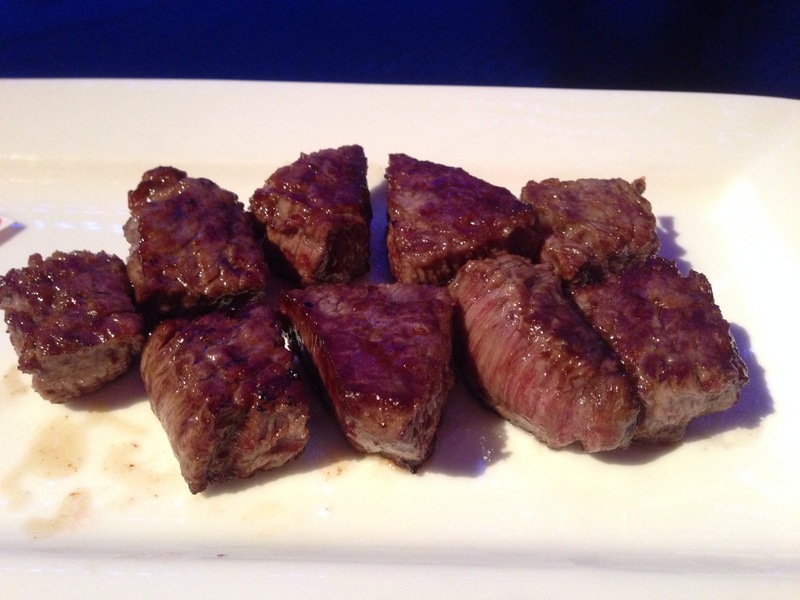 It’s pretty obvious as my blog has never featured beef. However, I couldn’t resist the temptation anymore as I’ve seen (and smelt!) many a succulent beef dish! 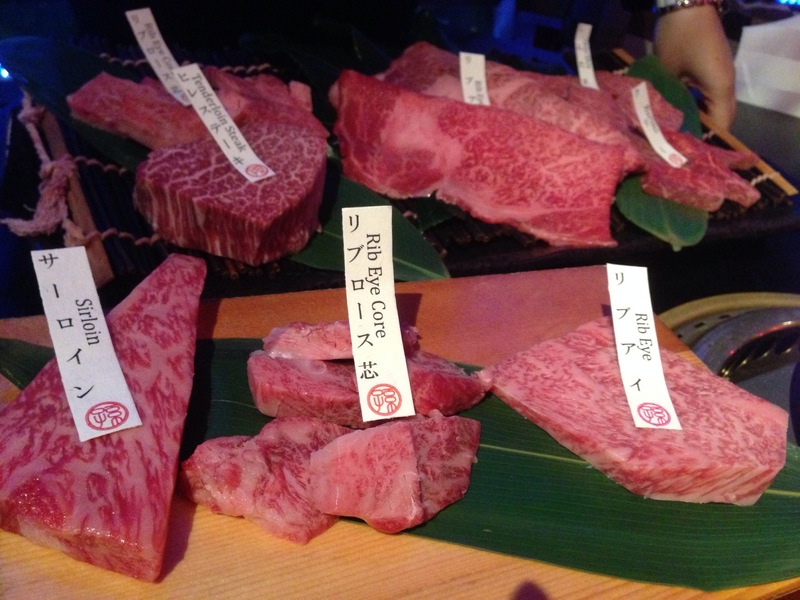 So I thought, if I were to try beef anyway, why not go for one of the better beef places in Singapore? 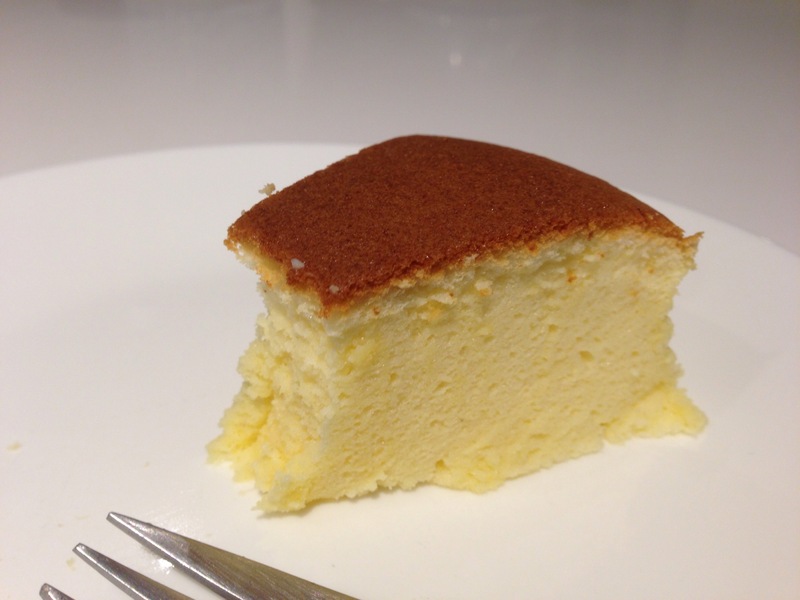 Which led me to Magosaburou, I’ve seen pictures of it online and it planted the seed of temptation into my head T___T. I’ve gone back a couple of times since, so this post would include pictures from 2 or 3 visits. 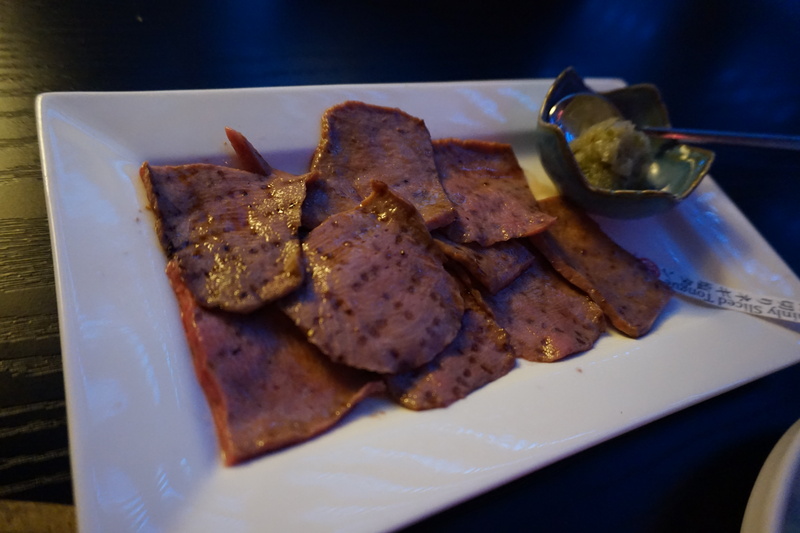 I must say though I loved it at the start…but it got a little disappointing in my last visit. 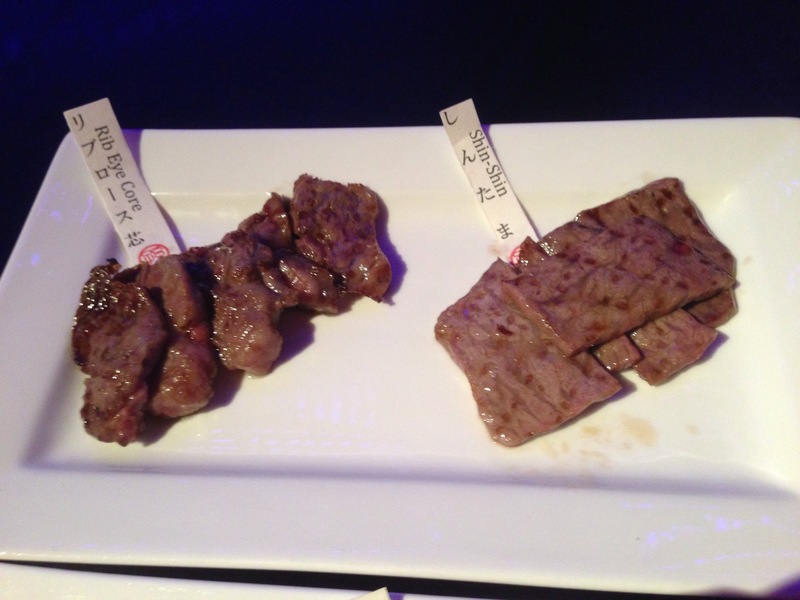 In any case, I shall lay off beef for a while… since I don’t usually eat it, my body just isn’t used to it! 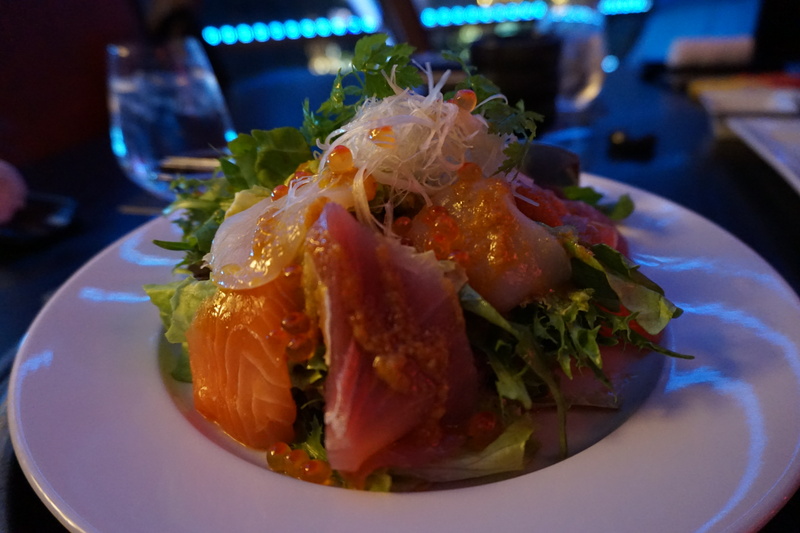 So here goes… the first visit:- Sashimi salad. 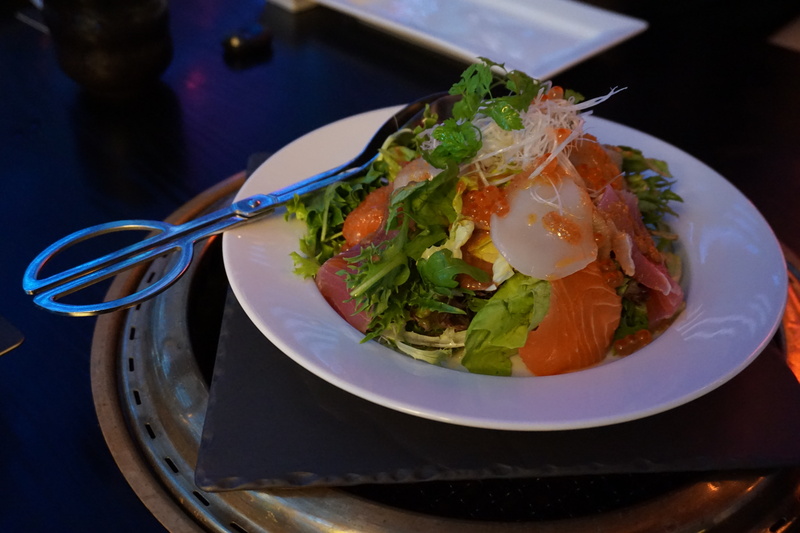 The best sashimi salad I’ve ever had! 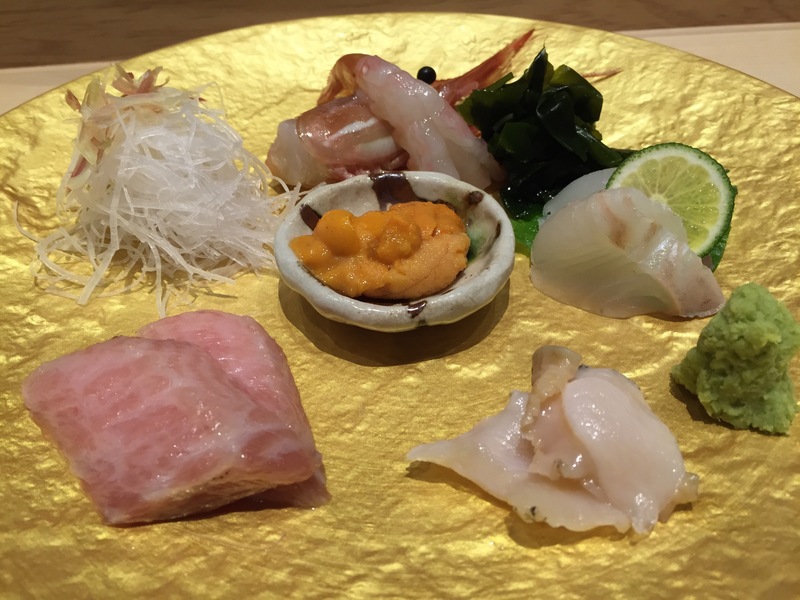 The sashimi slices were generous and in thick slabs, it had tuna, salmon, scallop and ikura in it. The sauce seemed like a sort of ponzu/goma sauce but it was divine with the salad! I always order this when I go. The last visit though, the slices seemed smaller and thinner. I’m not sure if it’s my imagination but I hope they don’t skimp on the sashimi the next time! 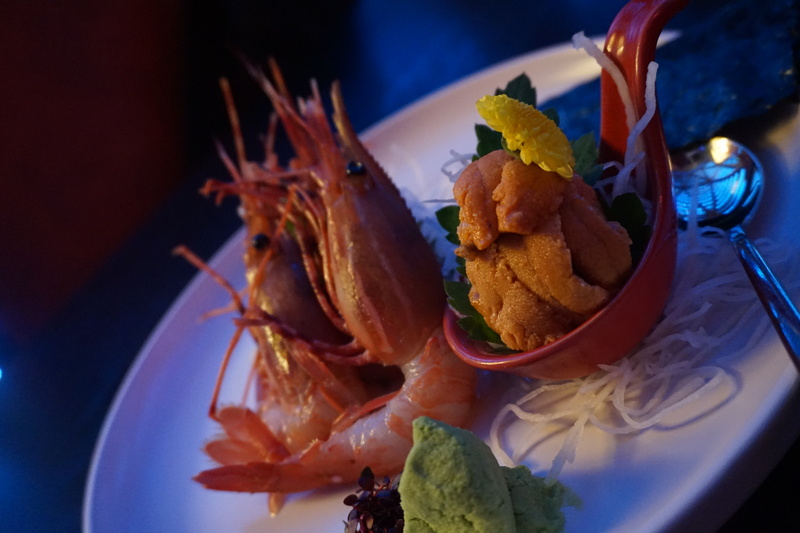 Beautiful, healthy and tasty Botan Ebi and Uni sashimi. 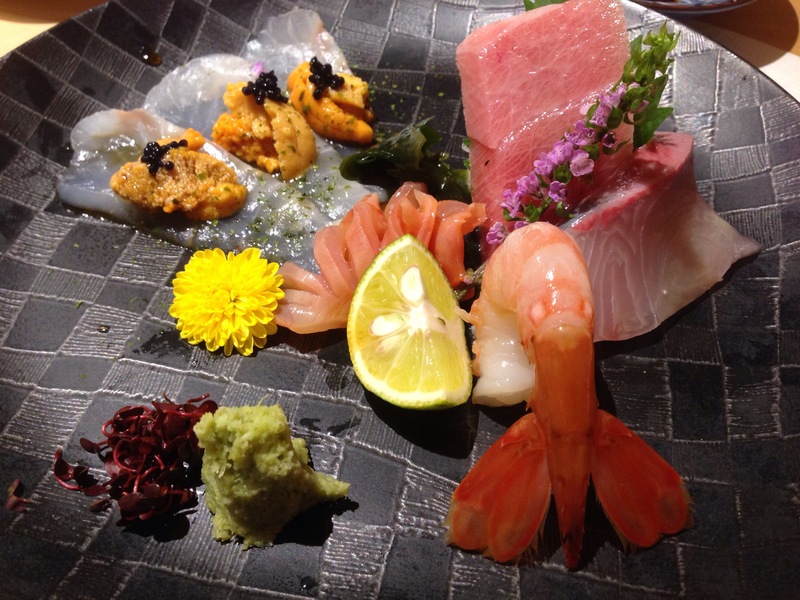 The sashimi is fresh, the prawn still retained a little crunch before your teeth sinks into the creamy centre. 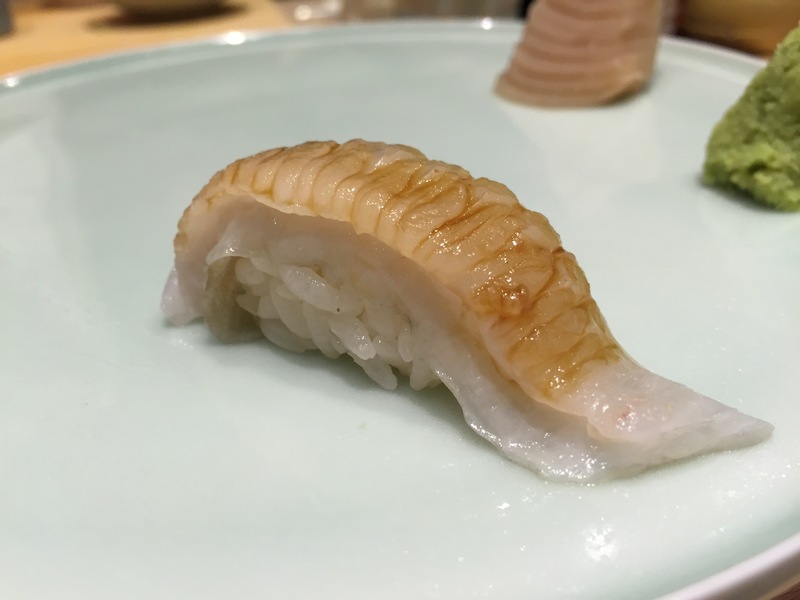 And I should add that the botan ebi is of a good size and plump to boot, not some prawn wannabe melting into obscurity with its head half hanging/wilting off its body. So two thumbs up for this. The uni was delicious too, fresh and creamy. 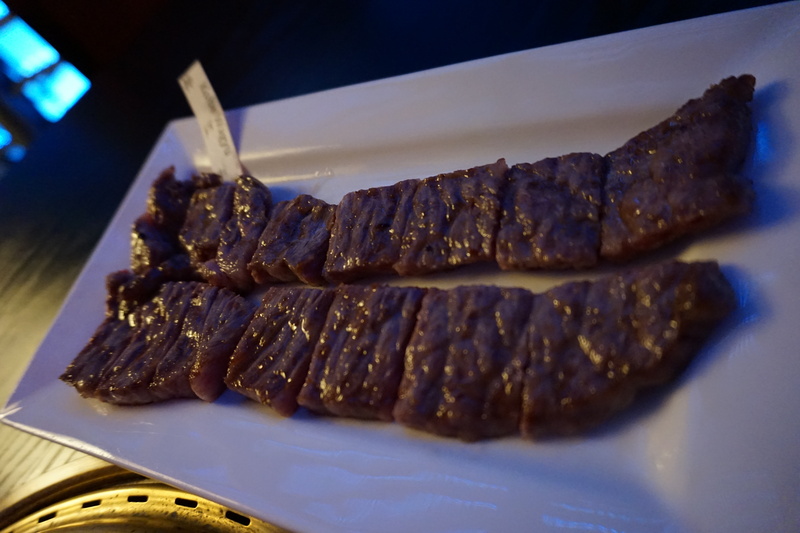 No complaints on the sashimi end for this post We ordered a la carte beef from the menu. 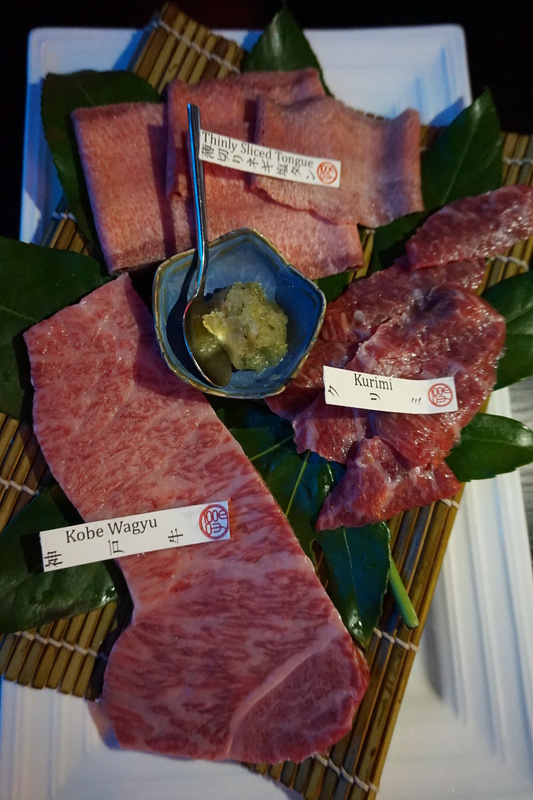 Kobe Wagyu, Kurimi and some thinly sliced tongue. 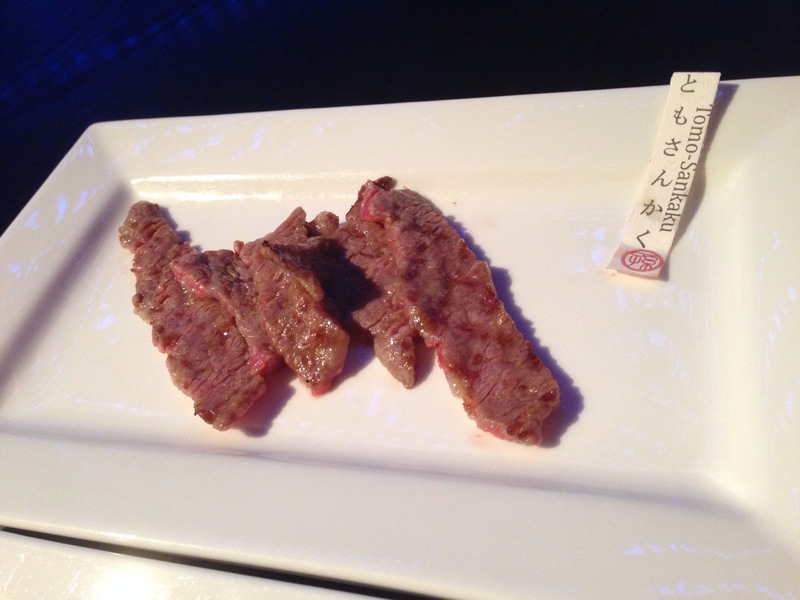 I don’t know my beef cuts well so I don’t know what Kurimi is! 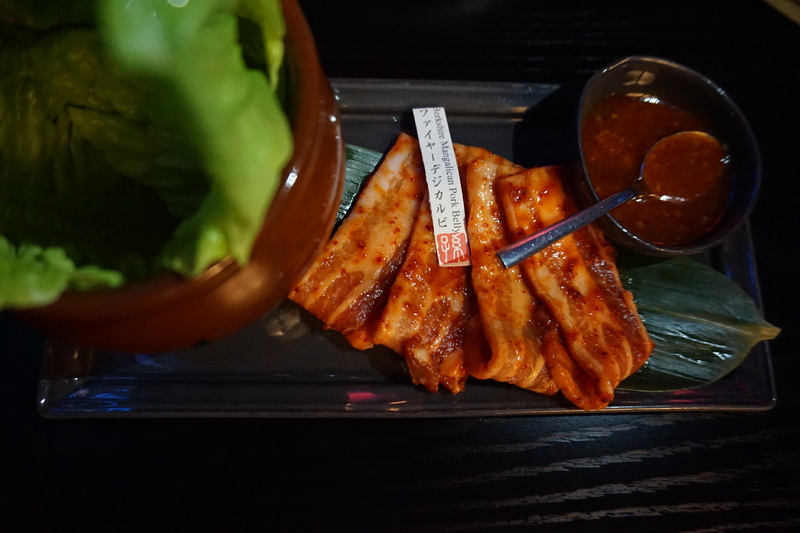 We also ordered some samgyeopsal (marinated pork belly). Needless to say, the beef was still the main star of the show. 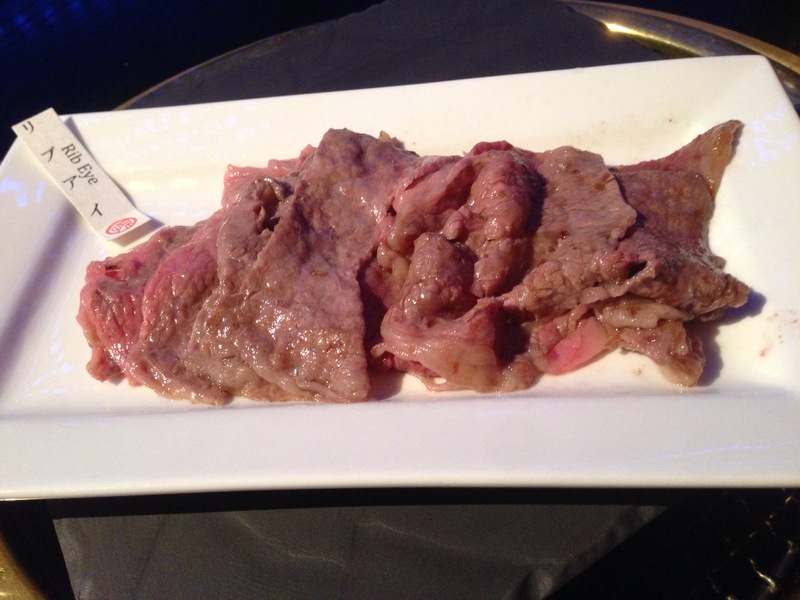 The beef is presented nicely on a platter, this is where you decide whether you want to cook it yourself or have the restaurant cook it for you. We chose to leave it to the pros. The cooking makes or breaks the beef, so since this was going to be an expensive meal, we’d rather not risk it! Foie Gras Cawanmushi… apparently the foie gras was in a more solid form than this but I didn’t notice as I was busy taking photos of the beef. So this is what tongue tastes like… its delicious! Slightly chewy with some resistance, but with lots of flavour in it. Then the kurimi. 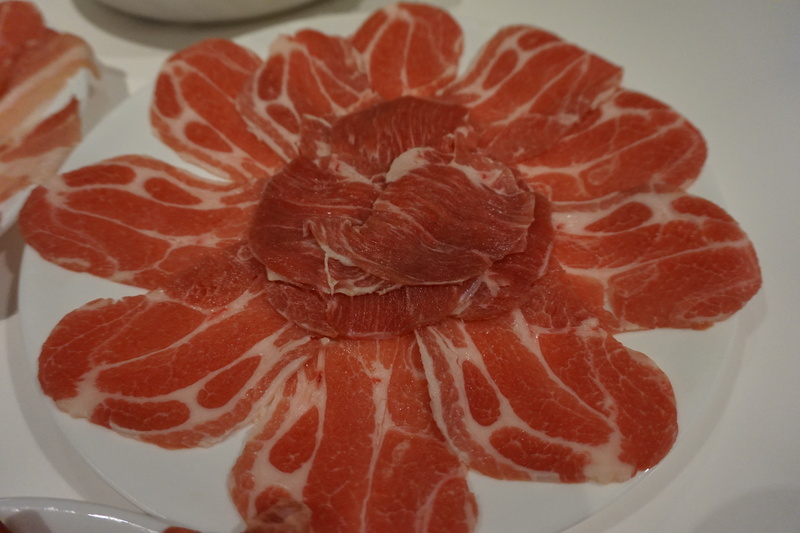 Its delicious as well, but there is very little fat or marbling in it so its a little tough. But hey, what would I know right? I have no benchmark to compare it to! Then this came along. There was just no competition, this was hands down the best cut of the night. 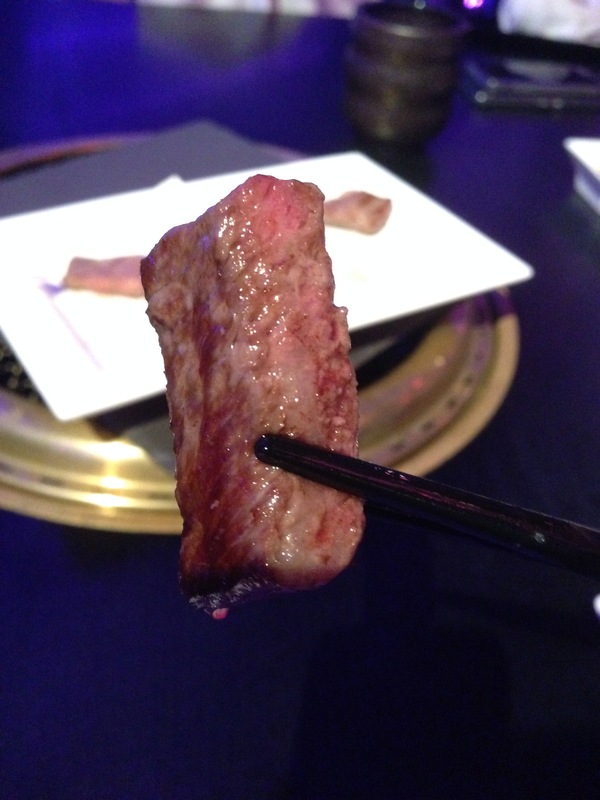 Its the Kobe-Wagyu and it was the most tender, full-bodied, amazing depth and round flavoured meat I’ve ever tasted. Now I know why people scoff at me when I say I eat lamb instead of beef. I really didn’t know what I was missing. 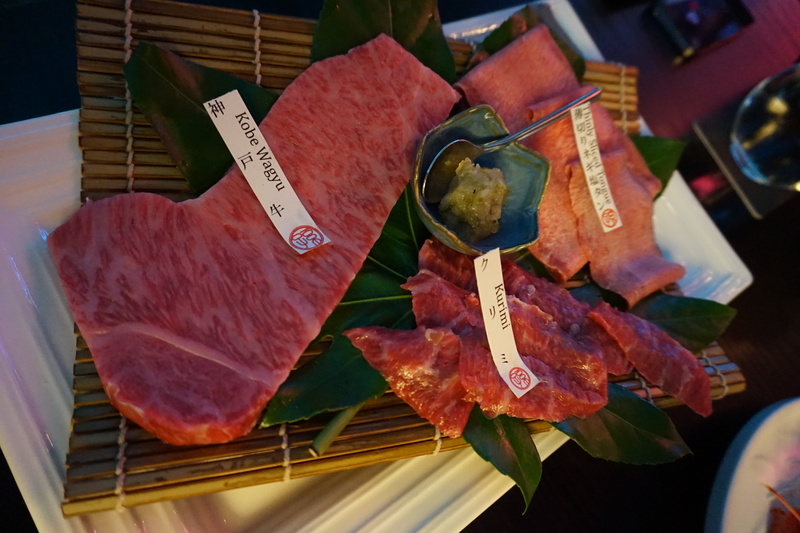 My two dining companions were in raptures as well, though one of them did say that I should try the beef in Japan as its even better than this! Certainly this is the best he has tried in Singapore though. We ordered a bibimbap as well. 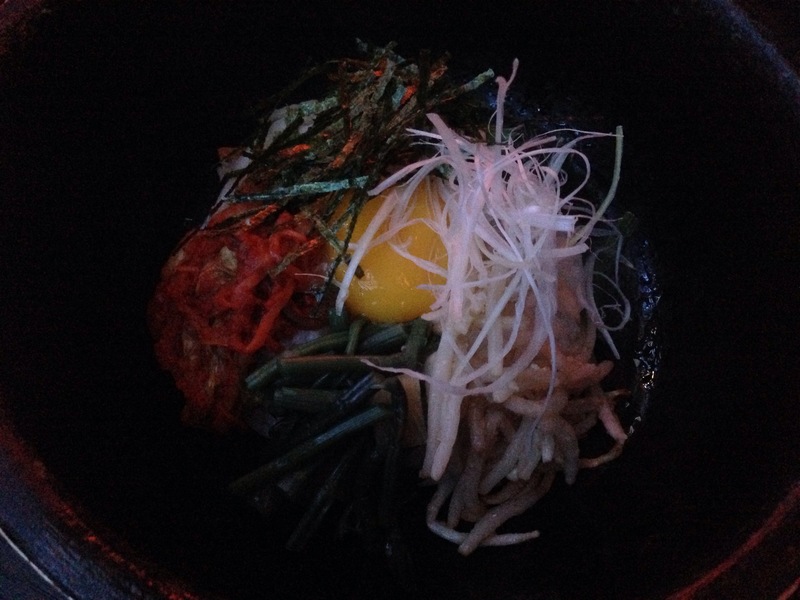 It came in a stone pot so it would be of the dolseot bibimbap variety. Again this was a first for me. I never order bibimbap when I’m at a Korean restaurant, I usually opt for Kimchi Jiggae instead. I think I became a bibimbap fan after having this! 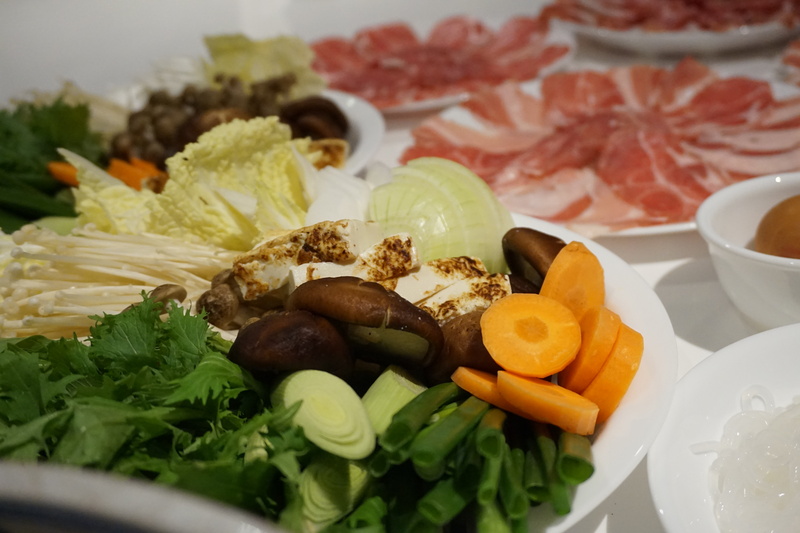 It had the perfect ratio of vegetables and meat to rice, and that crispy rice which came from the bottom of the pot adds such a pleasant crunch without being so hard you have to chew voraciously at it. All in all, a good bibimbap indeed! These are photos from the second visit. 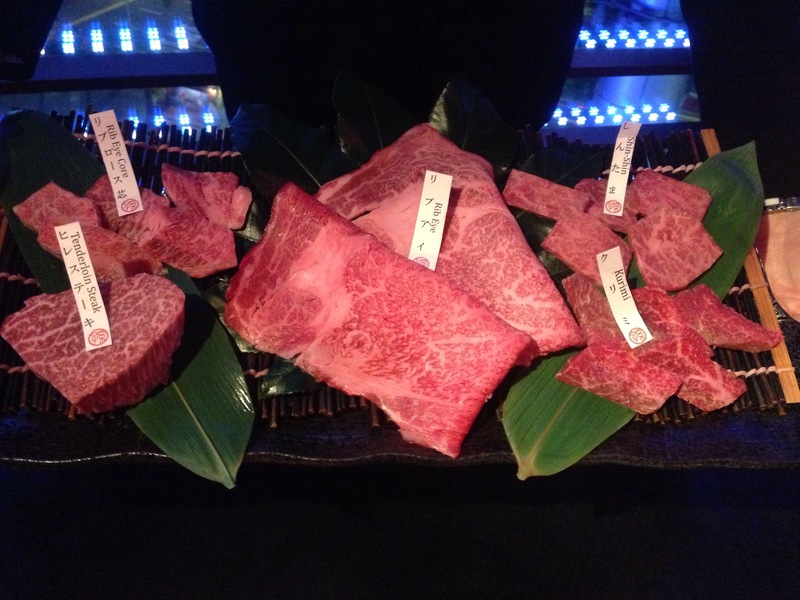 We got greedy and ordered the mixed beef platter as well as some kobe beef which was on promotion. I think this was a way better choice than ordering a la carte as I didn’t know what I was ordering! 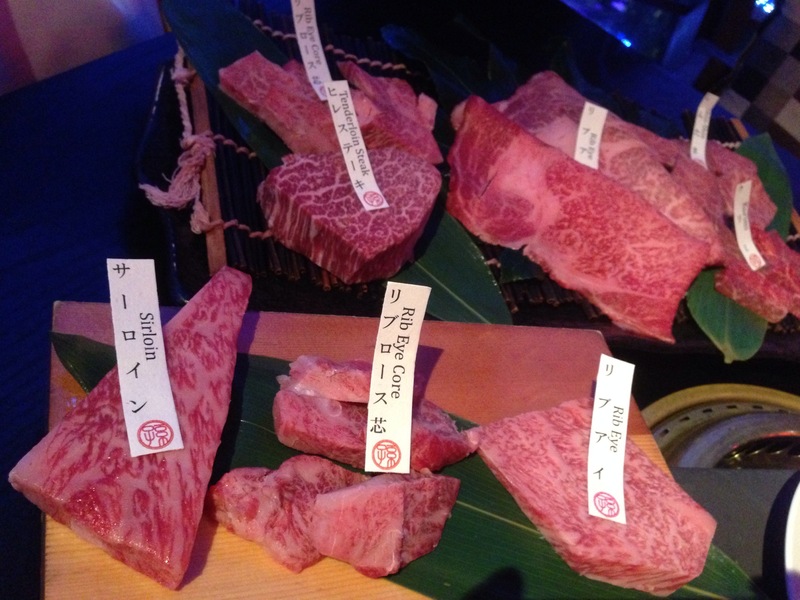 The mixed platter includes the Kurimi and shin shin but also has Rib eye, rib eye core and a nice tenderloin steak. 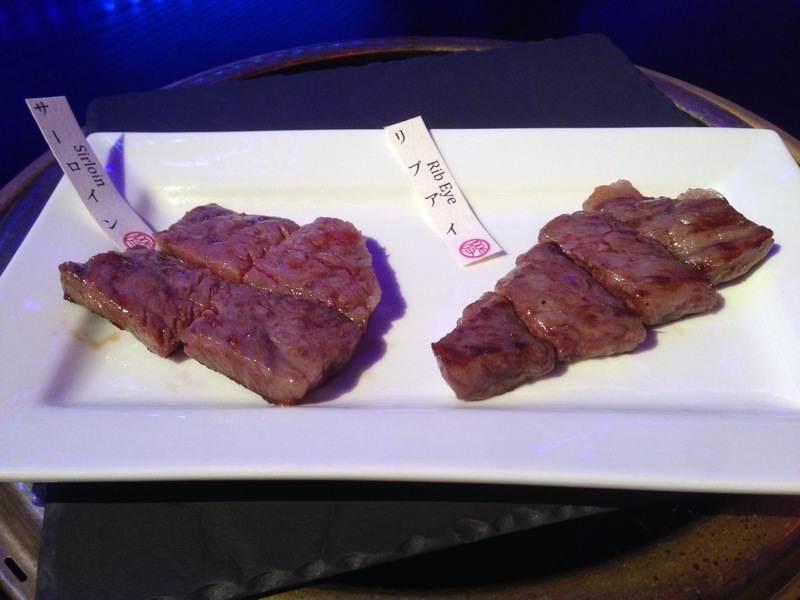 And the kobe promotion included more rib eye cuts and sirloin. 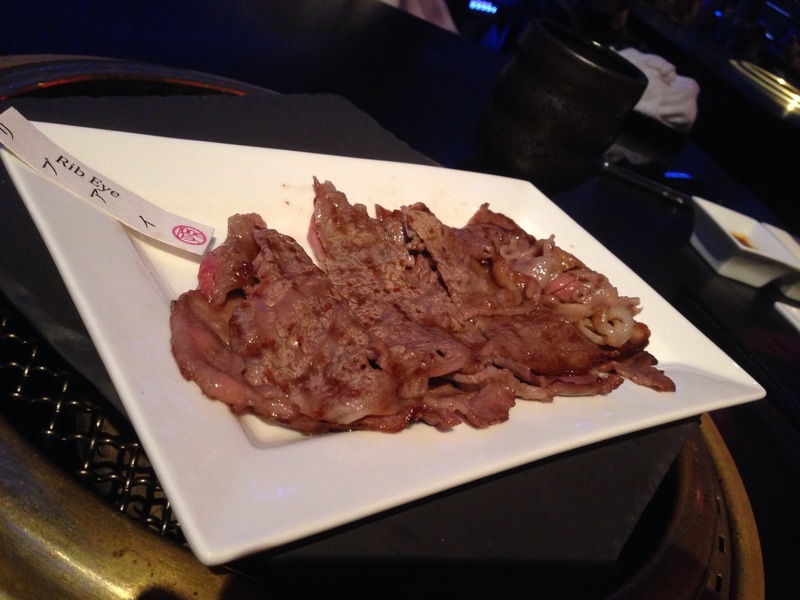 Rib eye was amazing… thin slices of marbled, tender beef. 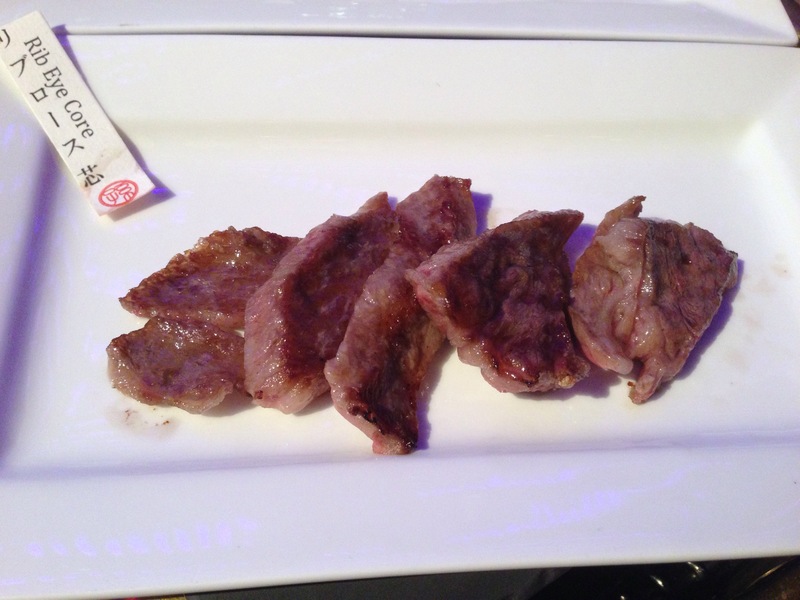 I can’t remember what this was… either the sirloin or the rib eye. Both were equally good and melted so charmingly in my mouth. In comparison the shin shin was just alright. The rib eye core was fantastic as well I think this is the tenderloin steak, done medium well with a touch of pink in the middle. I reckoned this was pretty well cooked with a nice sear on the outside. Had enough bite to it and was bursting with beefy goodness. I must say though, at this point I felt I had too much fat. I should have had some rice to go with it, just a few slices of this would have been enough with it. I think the following photos were from another visit. 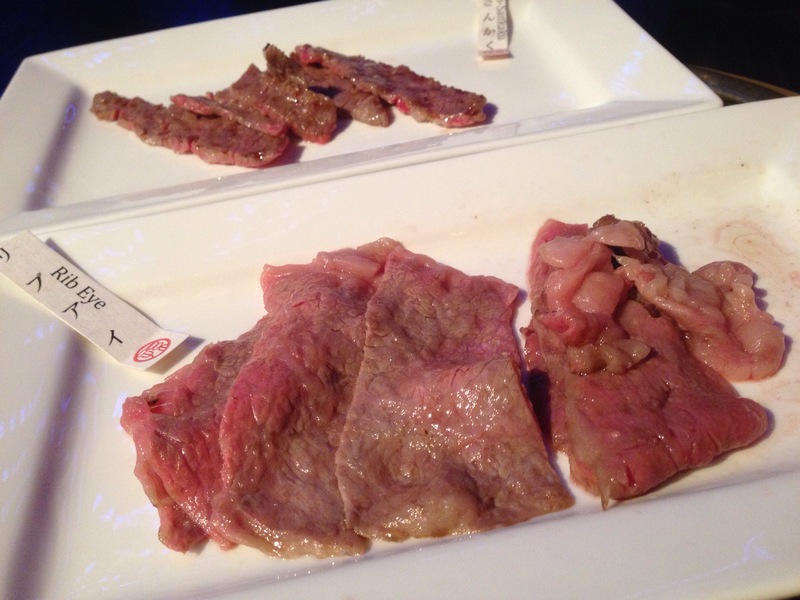 The mixed platter set included tomo sankaku in place of one of the other cuts of meat. I believe the platter is an assortment of the chef’s choice cuts. I highly recommend the mixed platter! 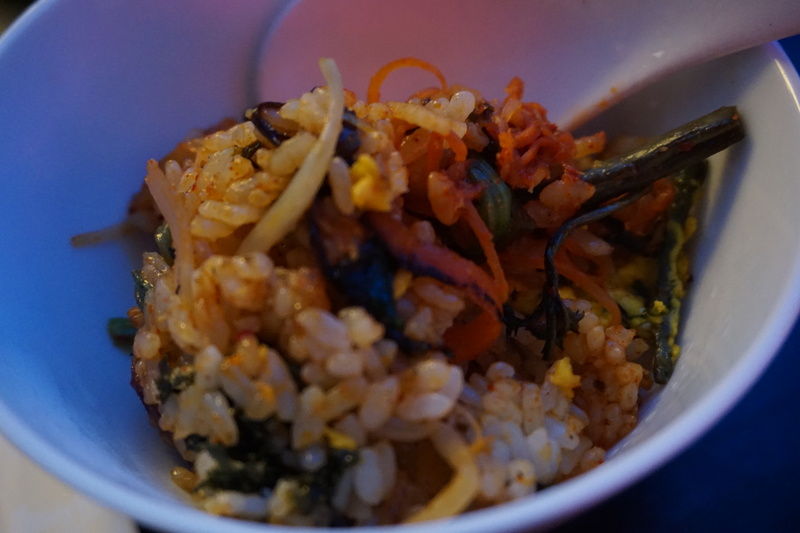 Here’s a very bad photo of the bibimbap. Yes we ordered it again, it seemed quite small the second time though. Still delicious. I didn’t fancy the tomo sankaku very much. Had a little bit of a strong smell to it. Something to note, I ordered the maguro and otoro sushi in my last visit. It was nothing great, the fish slices were small and doesn’t taper off like the authentically Japanese sushi. It’s also thin and miserable looking. For the price, which was outrageously expensive, I feel pretty ripped off on the sushi. I’d advise not to go for the sushi at all. Even without the overly priced sushi, the bill is usually pretty steep. I normally spend up to SGD 500 for 2-3 people. 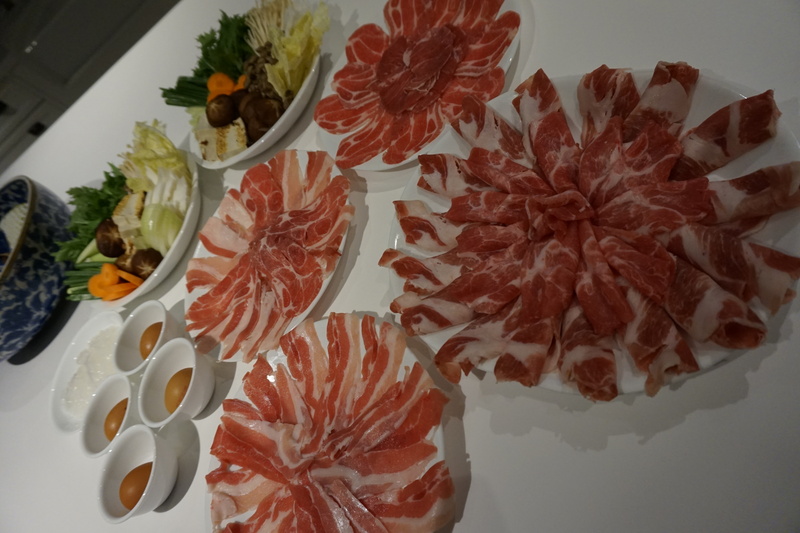 So to maximize the experience, go for the beef platter and/or sashimi salad and bibimbap and forget about the sushi. 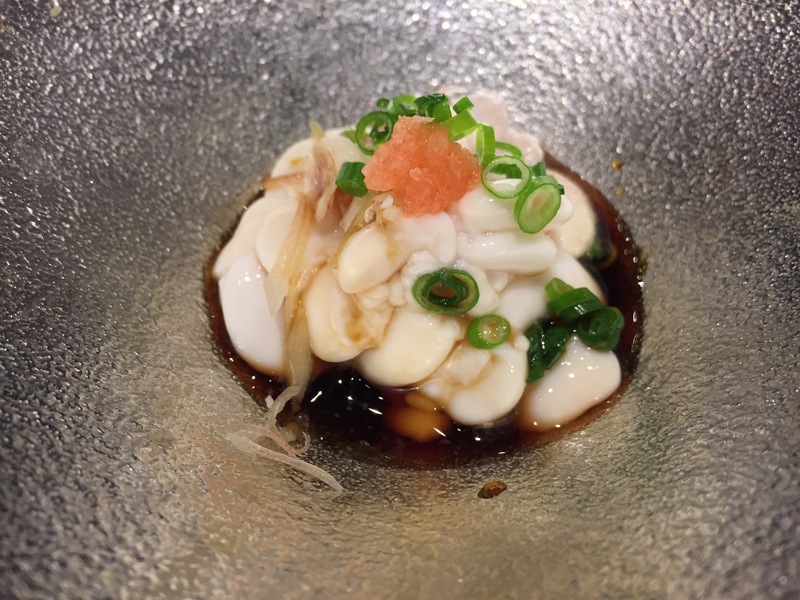 Tatsuya has always been one of my favourite Japanese restaurants in Singapore. So naturally it was one of my top choices when I dropped by for a visit in Singapore and thankfully got a counter seat as the place was packed. I opted again for the omakase as per my usual routine but I was quietly disappointed when the food came. The food quality is more or less the same, still delicious but the sushi was served in a platter instead of done up and served with care one by one. And there were more cooked courses than raw, we had a whole grilled sanma fish to share between us. While it was nice, I’ve always considered sanma to be an inexpensive fish. 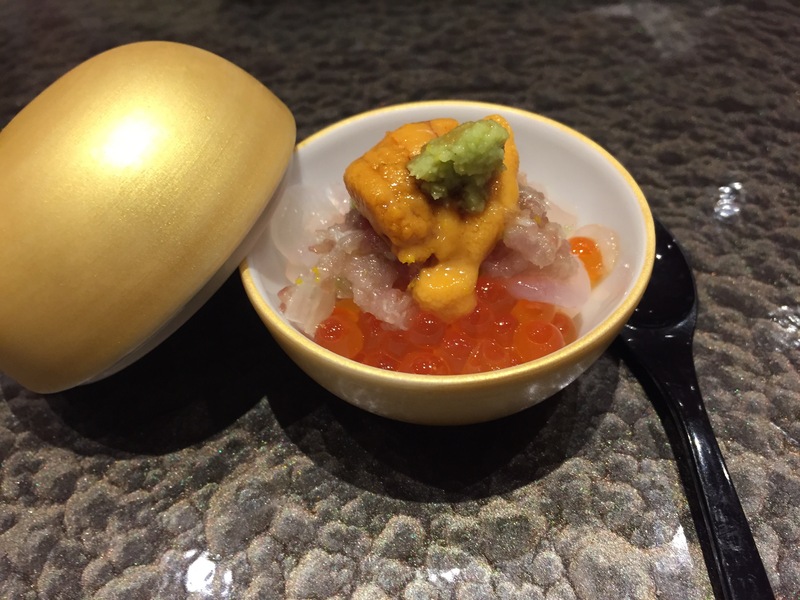 In previous visits, we were given a little uni/otoro/ikura rice bowl which was infinitely more divine. 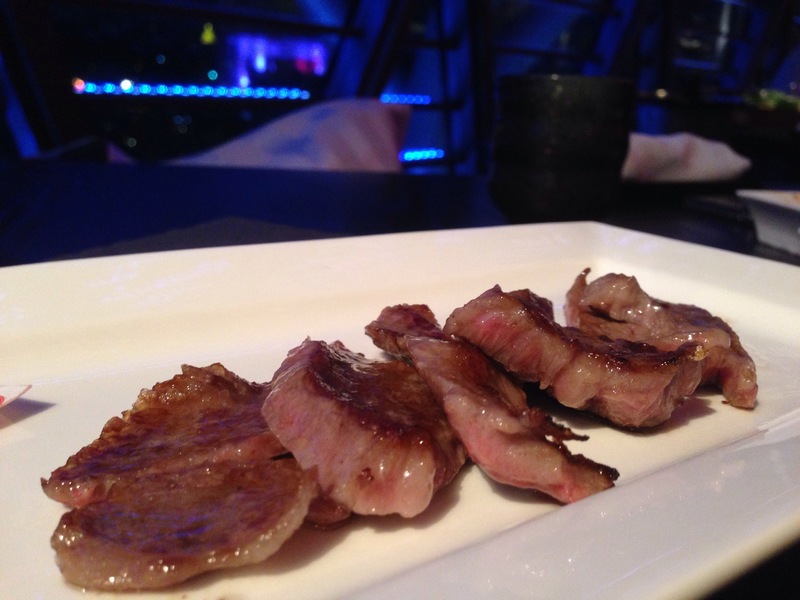 So I was doubly shocked when the bill came… up to SGD 847 for the both of us! Previously the omakase sets come at SGD 280++ , but the bill would mean that the new cost of the omakase set is now SGD 400++ where it adds no additional value to the dining experience and where the food is not as appealing as it was when it was at SGD 280. What happened Tatsuya?!!! The least you could do if you charge more is to give us better food and a better dining experience! Don’t get me wrong, Tatsuya still serves quality food, service is still good and chef is very friendly. 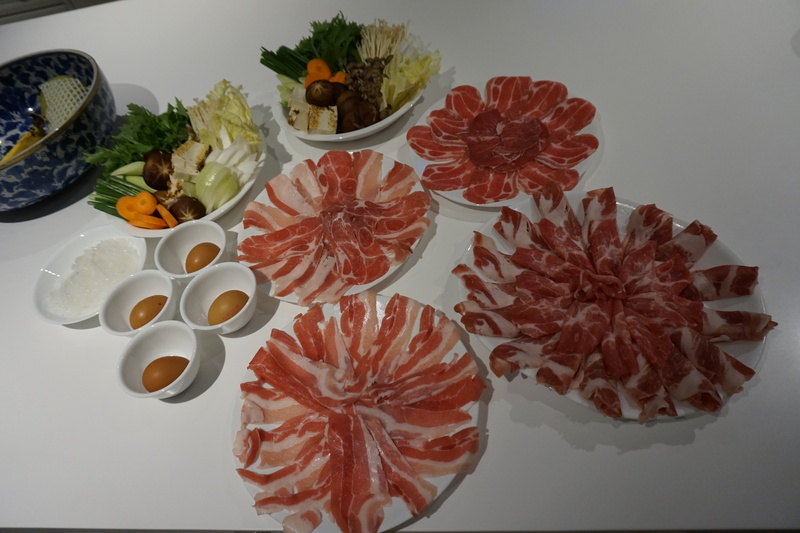 It’s just that we no longer get the traditional counter experience where the chef serves up his tantalizing morsels one by one reverently and works up a surprise for our palates here and there. Now it just feels like a normal restaurant…. at a more expensive price. I complained to my makan kaki who did the initial Tatsuya visit with me and she came back with a barrage of complaints. She’s probably not going back. Not sure if I want to go back again either if this is what is to be expected. For SGD 400+ I could just go to Shinji. I think Aoki may be the better choice now compared to Tatsuya, I’ve visited it twice after the last review and will post up another review on it soon. Did not take photos of the sanma and the other cooked courses as I was so disappointed. 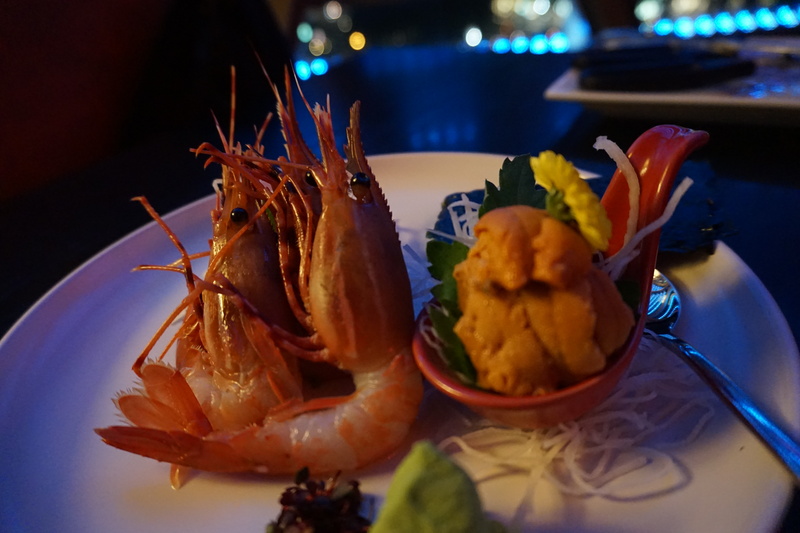 At least we had some uni with the tai sashimi though! Some saving grace there. 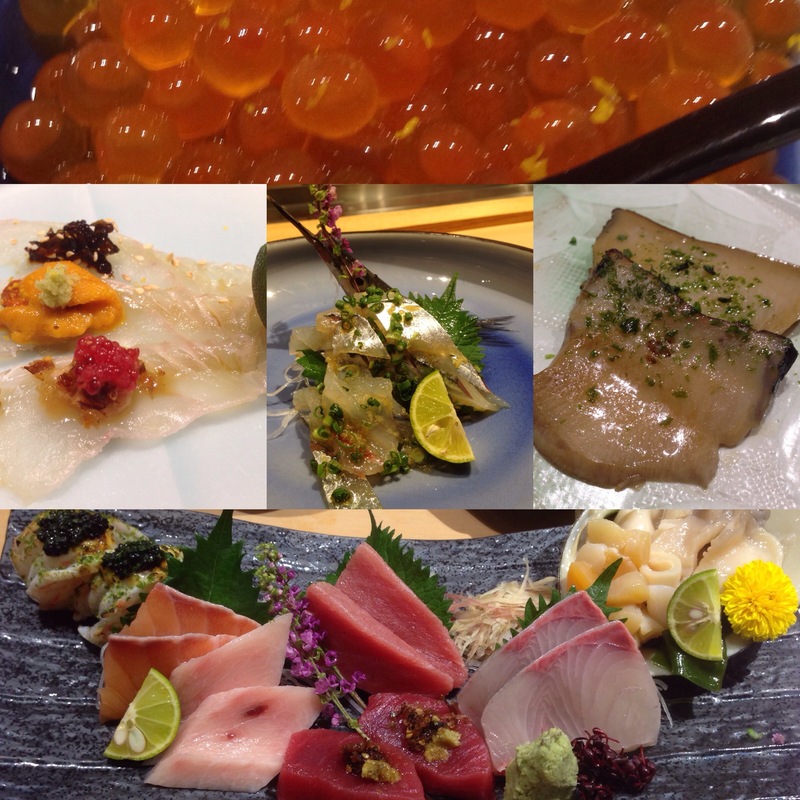 In comparison, here’s a collage of some of the dishes from the initial trip and my previous review on Tatsuya. 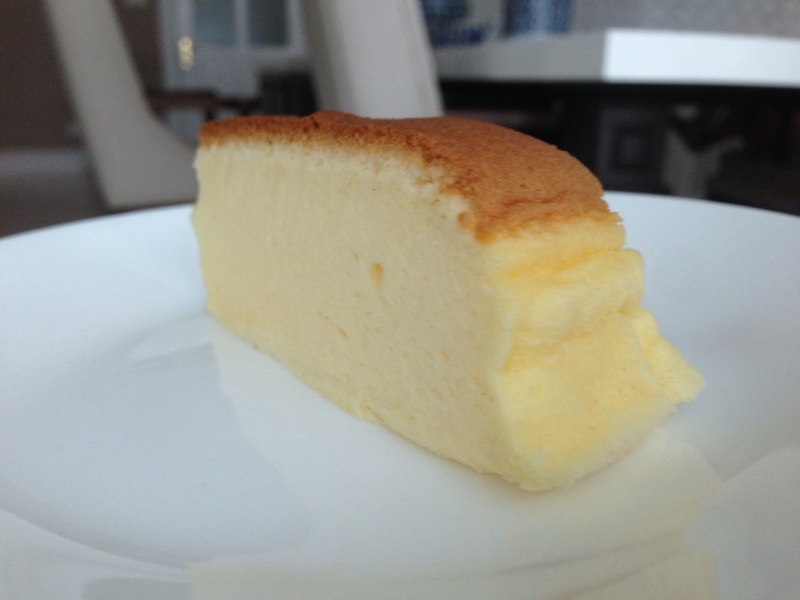 I’ve always had a problem with my Japanese cheesecakes. They almost always sink. So I play around with the recipe each time I make it. You can see the old recipe here. 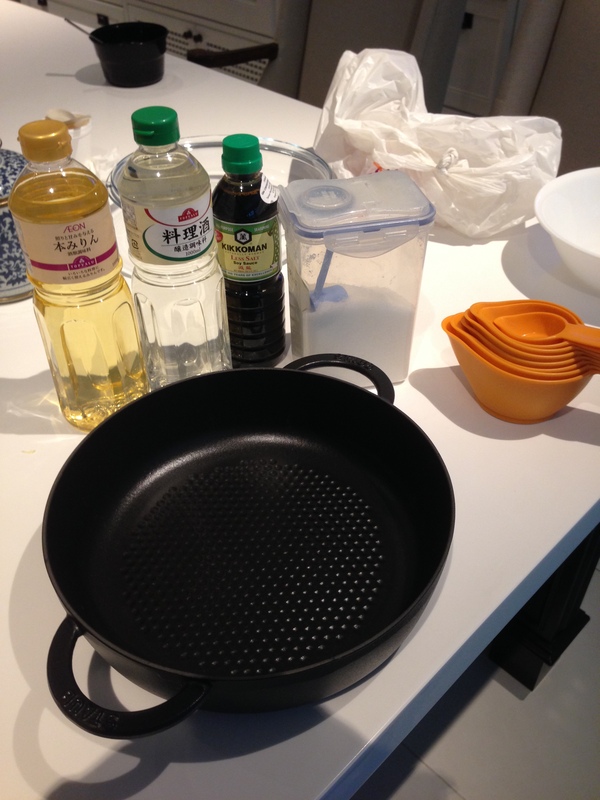 Basically, I just tweaked the recipe a little, but the cooking instructions are the same. This time around for some reason I could only whip the egg whites into ribbon stage. It should be whipped til soft peaks form. It still worked irregardless. 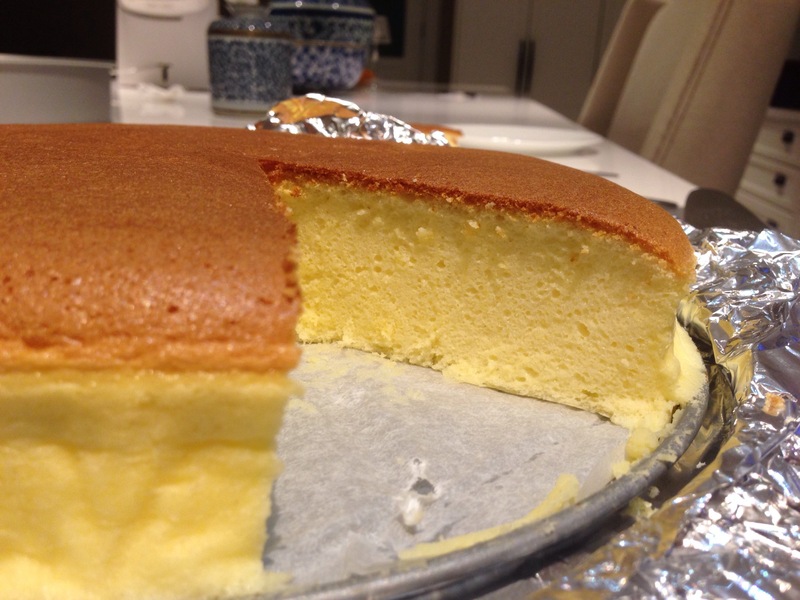 When the egg whites have been folded in with the cream cheese mixture, slowwwwwly pour it into the centre of the cake tin to eliminate big bubbles. 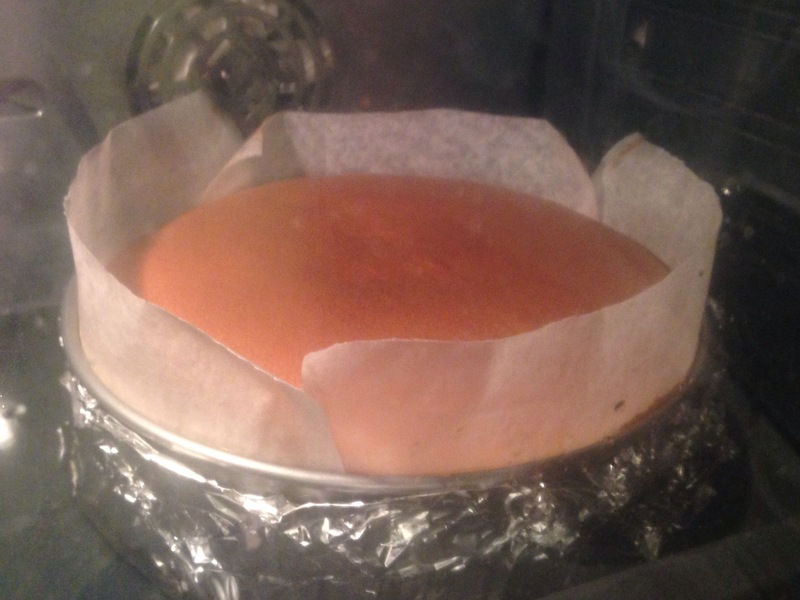 Also, I used a Bain Marie… I wrapped the cake tin in aluminium foil and placed it in a tray filled with hot water. Cooking will be more even that way. Then bake at 160 degrees celsius for 1 hour 10 minutes before turning off the oven and leaving the oven door very slightly ajar. 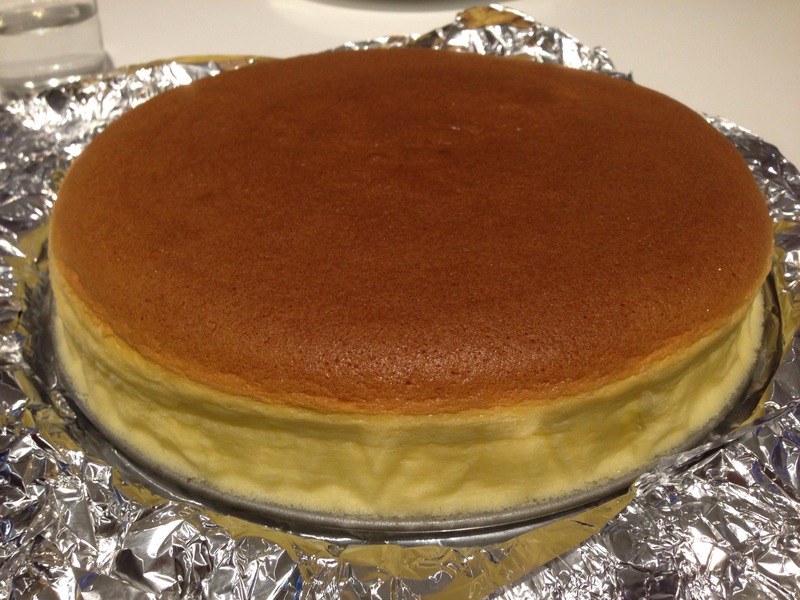 Leave the cake to cook for half an hour to an hour before removing from the oven. Baking in a bain marie… I only filled up the tray halfway, didn’t want to put too much water! 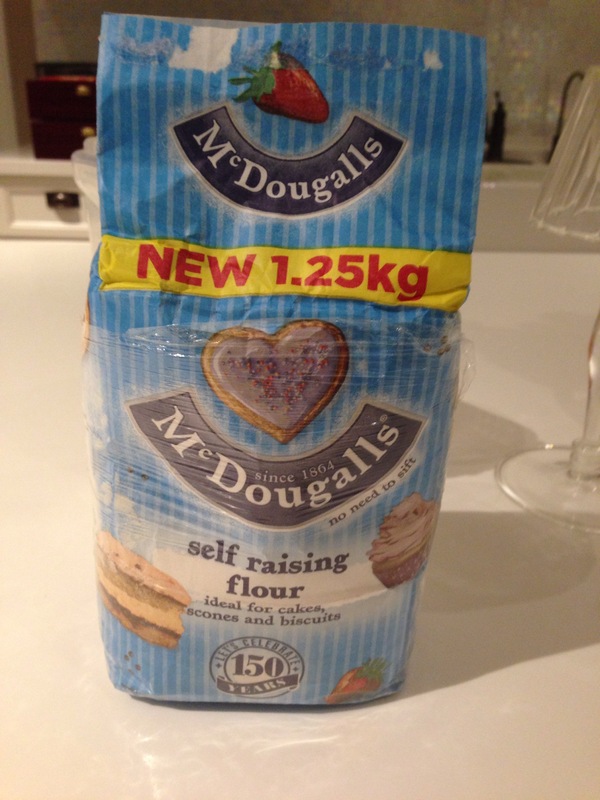 Used self raising flour this time. Finally done! So beautiful! I really need to get a smaller cake tin so as to get that beautifully high and majestic cake. 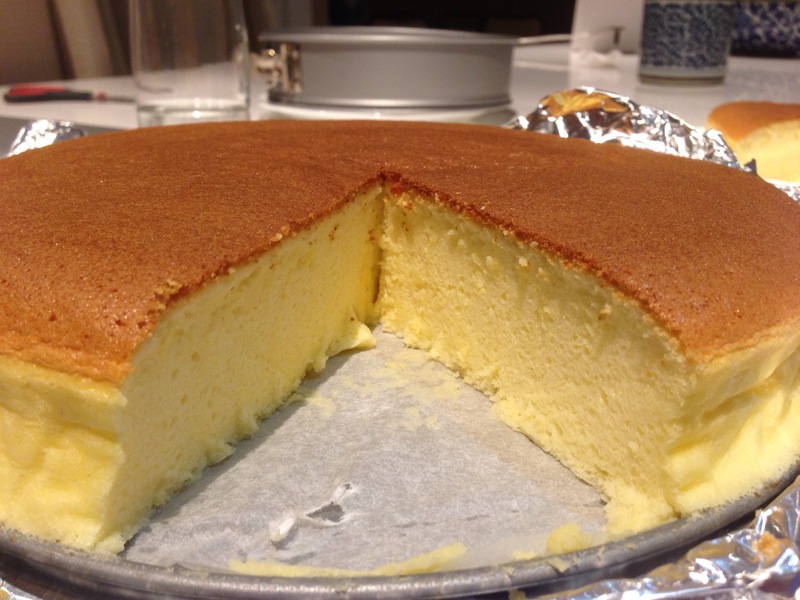 See how smooth the texture is? ❤ and its not collapsing! Very happy with this attempt! 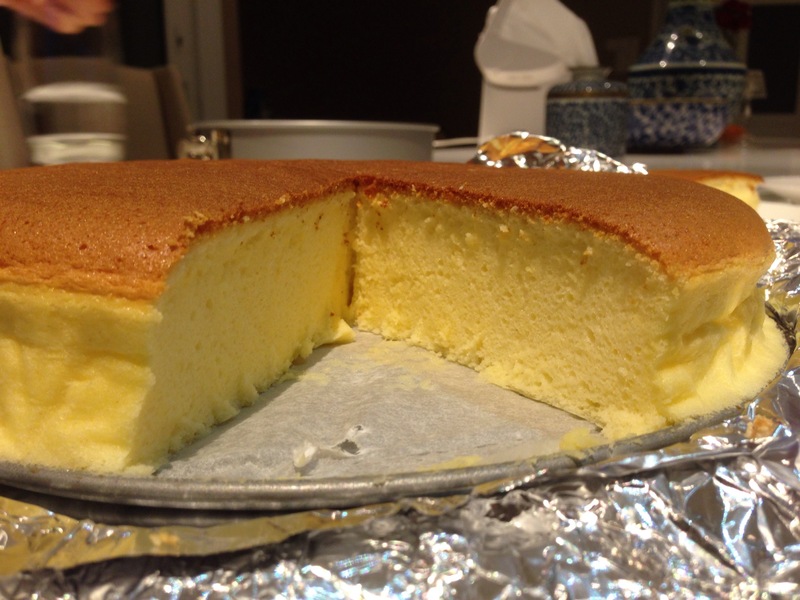 Super smooth and light cake!